Emergency safety signs A5AED automated external defibrillator self adhesive vinyl labels. Emergency safety signs - A5 AED automated external defibrillator self adhesive vinyl labels. Emergency safety signs 100 x 250 mm AED automated external self adhesive vinyl labels. Emergency safety signs - 100 x 250 mm AED automated external self adhesive vinyl labels. Emergency safety signs A5AED automated external defibrillator 1.2 mm rigid plastic signs. Emergency safety signs - A5 AED automated external defibrillator 1.2 mm rigid plastic signs. Emergency safety signs 300 x 200 mm AED automated external self adhesive vinyl labels. Emergency safety signs - 300 x 200 mm AED automated external self adhesive vinyl labels. Emergency safety signs 400 x 300 mm AED automated external self adhesive vinyl labels. Emergency safety signs - 400 x 300 mm AED automated external self adhesive vinyl labels. Emergency safety signs A4 AED automated external defibrillator self adhesive vinyl labels. Emergency safety signs - A4 AED automated external defibrillator self adhesive vinyl labels. Emergency safety signs A3 AED automated external defibrillator self adhesive vinyl labels. Emergency safety signs - A3 AED automated external defibrillator self adhesive vinyl labels. Emergency safety signs 300 x 200 mm AED automated external 1.2 mm rigid plastic signs. Emergency safety signs - 300 x 200 mm AED automated external 1.2 mm rigid plastic signs. Emergency safety signs A4 AED automated external defibrillator 1.2 mm rigid plastic signs. Emergency safety signs - A4 AED automated external defibrillator 1.2 mm rigid plastic signs. Emergency safety signs 400 x 300 mm AED automated external 1.2 mm rigid plastic signs. Emergency safety signs - 400 x 300 mm AED automated external 1.2 mm rigid plastic signs. Emergency safety signs A3 AED automated external defibrillator 1.2 mm rigid plastic signs. Emergency safety signs - A3 AED automated external defibrillator 1.2 mm rigid plastic signs. Emergency safety signs A5AED automated external defibrillator 1.2 mm rigid plastic signs with s/a backing. Emergency safety signs - A5 AED automated external defibrillator 1.2 mm rigid plastic signs with self adhesive backing. A2 AED automated external defibrillator self adhesive vinyl labels. A2 AED automated external defibrillator 1.2 mm rigid plastic signs. Emergency safety signs 300 x 200 mm AED automated external 1.2 mm rigid plastic signs with s/a backing. Emergency safety signs - 300 x 200 mm AED automated external 1.2 mm rigid plastic signs with self adhesive backing. A1 AED automated external defibrillator self adhesive vinyl labels. 400 x 300 mm AED automated external 1.2 mm rigid plastic signs with s/a backing. UK mandatory signs - 400 x 300 mm AED automated external 1.2 mm rigid plastic signs with self adhesive backing. 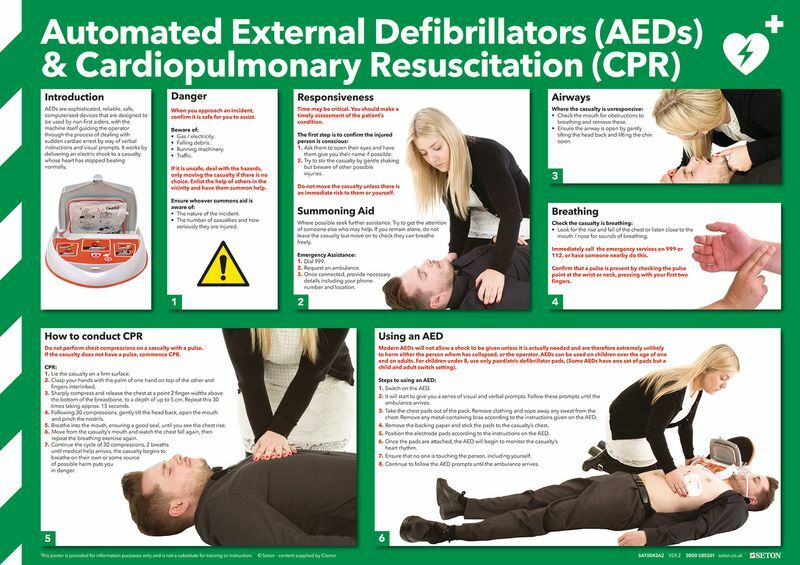 A1 AED automated external defibrillator 1.2 mm rigid plastic signs. Emergency safety signs A3 AED automated external defibrillator 1.2 mm rigid plastic signs with s/a backing. Emergency safety signs - A3 AED automated external defibrillator 1.2 mm rigid plastic signs with self adhesive backing. A2 AED automated external defibrillator 1.2 mm rigid plastic signs with s/a backing. 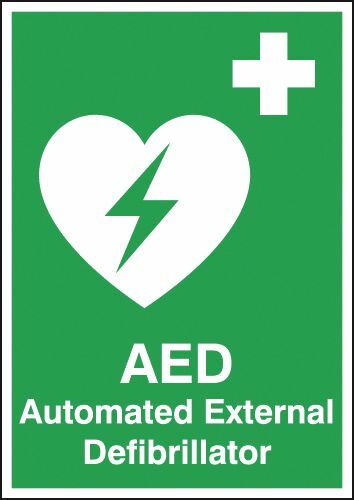 A2 AED automated external defibrillator 1.2 mm rigid plastic signs with self adhesive backing. A1 AED automated external defibrillator 1.2 mm rigid plastic signs with s/a backing. 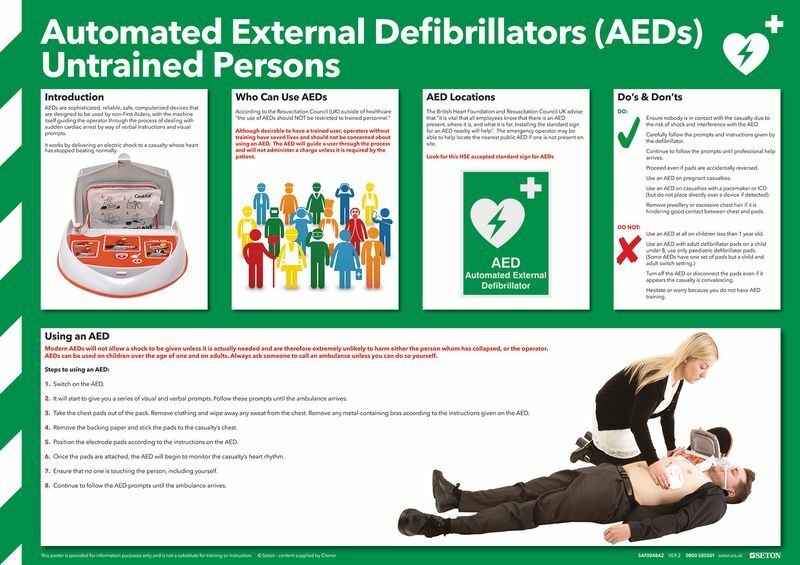 A1 AED automated external defibrillator 1.2 mm rigid plastic signs with self adhesive backing. Emergency safety signs A4 AED automated external defibrillator 1.2 mm rigid plastic signs with s/a backing. Emergency safety signs - A4 AED automated external defibrillator 1.2 mm rigid plastic signs with self adhesive backing. Emergency safety signs A3 fire assembly point self adhesive vinyl labels. Emergency safety signs - A3 fire assembly point self adhesive vinyl labels. Emergency safety signs 150 x 150 mm emergency shower self adhesive vinyl labels. Emergency safety signs - 150 x 150 mm emergency shower self adhesive vinyl labels. Emergency safety signs 100 x 200 mm emergency shower self adhesive vinyl labels. Emergency safety signs - 100 x 200 mm emergency shower self adhesive vinyl labels. Emergency safety signs A5emergency shower self adhesive vinyl labels. Emergency safety signs - A5 emergency shower self adhesive vinyl labels. Emergency safety signs 100 x 200 mm emergency shower 1.2 mm rigid plastic signs. Emergency safety signs - 100 x 200 mm emergency shower 1.2 mm rigid plastic signs. 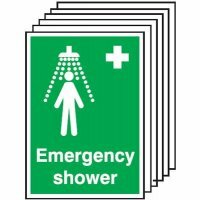 Emergency safety signs 150 x 150 mm emergency shower 1.2 mm rigid plastic signs. 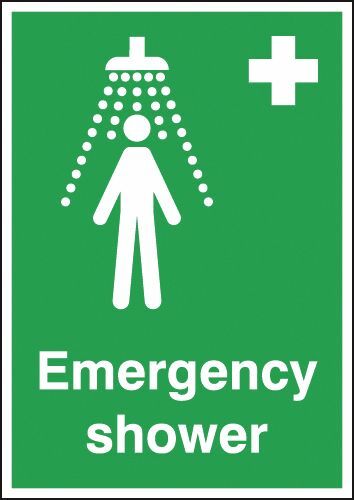 Emergency safety signs - 150 x 150 mm emergency shower 1.2 mm rigid plastic signs. Emergency safety signs A5emergency shower 1.2 mm rigid plastic signs. Emergency safety signs - A5 emergency shower 1.2 mm rigid plastic signs. Emergency safety signs 100 x 250 mm emergency shower self adhesive vinyl labels. Emergency safety signs - 100 x 250 mm emergency shower self adhesive vinyl labels. Emergency safety signs 100 x 250 mm emergency shower 1.2 mm rigid plastic signs. Emergency safety signs - 100 x 250 mm emergency shower 1.2 mm rigid plastic signs. Emergency safety signs 300 x 200 mm emergency shower self adhesive vinyl labels. Emergency safety signs - 300 x 200 mm emergency shower self adhesive vinyl labels. Emergency safety signs 400 x 300 mm emergency shower self adhesive vinyl labels. Emergency safety signs - 400 x 300 mm emergency shower self adhesive vinyl labels. Emergency safety signs A4 emergency shower self adhesive vinyl labels. Emergency safety signs - A4 emergency shower self adhesive vinyl labels. Emergency safety signs A3 emergency shower self adhesive vinyl labels. Emergency safety signs - A3 emergency shower self adhesive vinyl labels. Emergency safety signs 300 x 200 mm emergency shower 1.2 mm rigid plastic signs. Emergency safety signs - 300 x 200 mm emergency shower 1.2 mm rigid plastic signs. 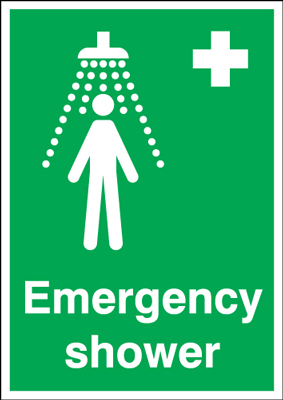 Emergency safety signs 150 x 150 mm emergency shower 1.2 mm rigid plastic signs with s/a backing. 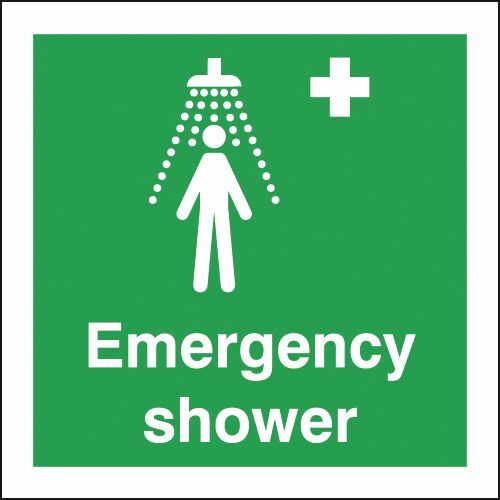 Emergency safety signs - 150 x 150 mm emergency shower 1.2 mm rigid plastic signs with self adhesive backing. Emergency safety signs 100 x 200 mm emergency shower 1.2 mm rigid plastic signs with s/a backing. Emergency safety signs - 100 x 200 mm emergency shower 1.2 mm rigid plastic signs with self adhesive backing. Emergency safety signs A4 emergency shower 1.2 mm rigid plastic signs. Emergency safety signs - A4 emergency shower 1.2 mm rigid plastic signs. Emergency safety signs 400 x 300 mm emergency shower 1.2 mm rigid plastic signs. Emergency safety signs - 400 x 300 mm emergency shower 1.2 mm rigid plastic signs. Emergency safety signs 100 x 250 mm emergency shower 1.2 mm rigid plastic signs with s/a backing. 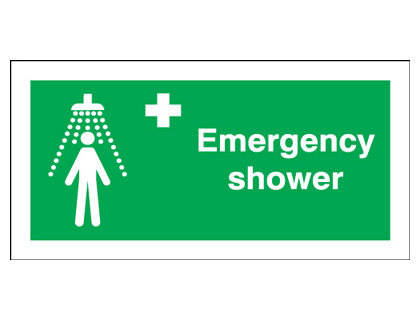 Emergency safety signs - 100 x 250 mm emergency shower 1.2 mm rigid plastic signs with self adhesive backing. Emergency safety signs A3 emergency shower 1.2 mm rigid plastic signs. Emergency safety signs - A3 emergency shower 1.2 mm rigid plastic signs. Emergency safety signs A5emergency shower 1.2 mm rigid plastic signs with s/a backing. Emergency safety signs - A5 emergency shower 1.2 mm rigid plastic signs with self adhesive backing. A2 emergency shower self adhesive vinyl labels. A2 emergency shower 1.2 mm rigid plastic signs. Emergency safety signs 300 x 200 mm emergency shower 1.2 mm rigid plastic signs with s/a backing. Emergency safety signs - 300 x 200 mm emergency shower 1.2 mm rigid plastic signs with self adhesive backing. A1 emergency shower self adhesive vinyl labels. Emergency safety signs 400 x 300 mm emergency shower 1.2 mm rigid plastic signs with s/a backing. Emergency safety signs - 400 x 300 mm emergency shower 1.2 mm rigid plastic signs with self adhesive backing. A1 emergency shower 1.2 mm rigid plastic signs. A2 emergency shower 1.2 mm rigid plastic signs with s/a backing. A2 emergency shower 1.2 mm rigid plastic signs with self adhesive backing. Emergency safety signs A3 emergency shower 1.2 mm rigid plastic signs with s/a backing. Emergency safety signs - A3 emergency shower 1.2 mm rigid plastic signs with self adhesive backing. A1 emergency shower 1.2 mm rigid plastic signs with s/a backing. A1 emergency shower 1.2 mm rigid plastic signs with self adhesive backing. Emergency safety signs A4 emergency shower 1.2 mm rigid plastic signs with s/a backing. Emergency safety signs - A4 emergency shower 1.2 mm rigid plastic signs with self adhesive backing. Emergency safety signs 100 x 75 mm eye wash self adhesive vinyl labels. Emergency safety signs - 100 x 75 mm eyewash self adhesive vinyl labels. Emergency safety signs 150 x 150 mm eye wash self adhesive vinyl labels. Emergency safety signs - 150 x 150 mm eyewash self adhesive vinyl labels. Emergency safety signs 100 x 75 mm eye wash 1.2 mm rigid plastic signs. Emergency safety signs - 100 x 75 mm eyewash 1.2 mm rigid plastic signs. Emergency safety signs A5eye wash self adhesive vinyl labels. Emergency safety signs - A5 eyewash self adhesive vinyl labels. Emergency safety signs 100 x 75 mm eye wash 1.2 mm rigid plastic signs with s/a backing. Emergency safety signs - 100 x 75 mm eyewash 1.2 mm rigid plastic signs with self adhesive backing. Emergency safety signs 100 x 250 mm eye wash self adhesive vinyl labels. Emergency safety signs - 100 x 250 mm eyewash self adhesive vinyl labels. 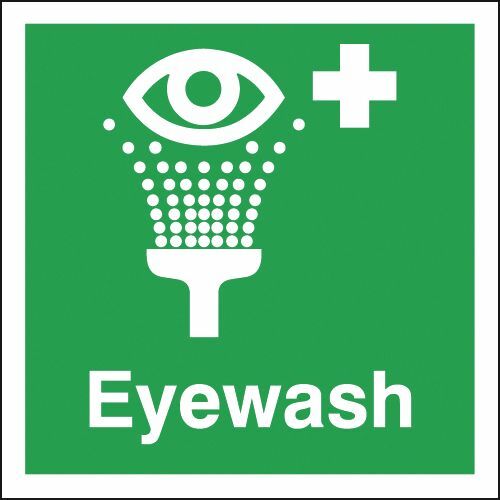 Emergency safety signs 150 x 150 mm eye wash 1.2 mm rigid plastic signs. Emergency safety signs - 150 x 150 mm eyewash 1.2 mm rigid plastic signs. Emergency safety signs 100 x 250 mm eye wash 1.2 mm rigid plastic signs. Emergency safety signs - 100 x 250 mm eyewash 1.2 mm rigid plastic signs. Emergency safety signs 300 x 200 mm eye wash self adhesive vinyl labels. Emergency safety signs - 300 x 200 mm eyewash self adhesive vinyl labels. Emergency safety signs A5eye wash 1.2 mm rigid plastic signs. Emergency safety signs - A5 eyewash 1.2 mm rigid plastic signs. Emergency safety signs A4 eye wash self adhesive vinyl labels. Emergency safety signs - A4 eyewash self adhesive vinyl labels. Emergency safety signs 300 x 200 mm eye wash 1.2 mm rigid plastic signs. Emergency safety signs - 300 x 200 mm eyewash 1.2 mm rigid plastic signs. 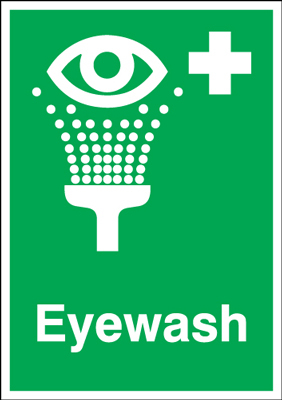 Emergency safety signs 150 x 150 mm eye wash 1.2 mm rigid plastic signs with s/a backing. Emergency safety signs - 150 x 150 mm eyewash 1.2 mm rigid plastic signs with self adhesive backing. Emergency safety signs A3 eye wash self adhesive vinyl labels. Emergency safety signs - A3 eyewash self adhesive vinyl labels. Emergency safety signs A4 eye wash 1.2 mm rigid plastic signs. Emergency safety signs - A4 eyewash 1.2 mm rigid plastic signs. Emergency safety signs 100 x 250 mm eye wash 1.2 mm rigid plastic signs with s/a backing. Emergency safety signs - 100 x 250 mm eyewash 1.2 mm rigid plastic signs with self adhesive backing. Emergency safety signs A5eye wash 1.2 mm rigid plastic signs with s/a backing. Emergency safety signs - A5 eyewash 1.2 mm rigid plastic signs with self adhesive backing. Emergency safety signs A3 eye wash 1.2 mm rigid plastic signs. Emergency safety signs - A3 eyewash 1.2 mm rigid plastic signs. 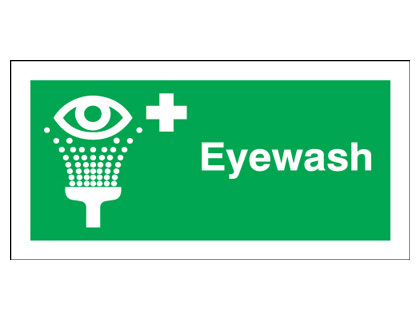 Emergency safety signs 300 x 200 mm eye wash 1.2 mm rigid plastic signs with s/a backing. Emergency safety signs - 300 x 200 mm eyewash 1.2 mm rigid plastic signs with self adhesive backing. Emergency safety signs A3 eye wash 1.2 mm rigid plastic signs with s/a backing. Emergency safety signs - A3 eyewash 1.2 mm rigid plastic signs with self adhesive backing. Emergency safety signs A4 eye wash 1.2 mm rigid plastic signs with s/a backing. Emergency safety signs - A4 eyewash 1.2 mm rigid plastic signs with self adhesive backing. Emergency safety signs A5fire assembly point b self adhesive vinyl labels. Emergency safety signs - A5 fire assembly point b self adhesive vinyl labels. Emergency safety signs A5fire assembly point e self adhesive vinyl labels. Emergency safety signs - A5 fire assembly point e self adhesive vinyl labels. Emergency safety signs A5fire assembly point f self adhesive vinyl labels. Emergency safety signs - A5 fire assembly point f self adhesive vinyl labels. Emergency safety signs A5fire assembly point self adhesive vinyl labels. Emergency safety signs - A5 fire assembly point self adhesive vinyl labels. Emergency safety signs A5fire assembly point 2 self adhesive vinyl labels. Emergency safety signs - A5 fire assembly point 2 self adhesive vinyl labels. Emergency safety signs A5emergency assembly point self adhesive vinyl labels. Emergency safety signs - A5 emergency assembly point self adhesive vinyl labels. Emergency safety signs A5fire assembly point 1 self adhesive vinyl labels. Emergency safety signs - A5 fire assembly point 1 self adhesive vinyl labels. Emergency safety signs A5fire assembly point 4 self adhesive vinyl labels. Emergency safety signs - A5 fire assembly point 4 self adhesive vinyl labels. Emergency safety signs A5fire assembly point 5 self adhesive vinyl labels. Emergency safety signs - A5 fire assembly point 5 self adhesive vinyl labels. Emergency safety signs A5fire assembly point 7 self adhesive vinyl labels. Emergency safety signs - A5 fire assembly point 7 self adhesive vinyl labels. Emergency safety signs A5fire assembly point 8 self adhesive vinyl labels. Emergency safety signs - A5 fire assembly point 8 self adhesive vinyl labels. Emergency safety signs A5fire assembly point c self adhesive vinyl labels. Emergency safety signs - A5 fire assembly point c self adhesive vinyl labels. Emergency safety signs A5fire assembly point a self adhesive vinyl labels. Emergency safety signs - A5 fire assembly point a self adhesive vinyl labels. Emergency safety signs 125 x 525 assembly point group symbol and a 1.2 mm rigid plastic signs. Emergency safety signs - 125 x 525 assembly point group symbol & a 1.2 mm rigid plastic signs. Emergency safety signs 150 x 300 mm assembly point group symbol and a self adhesive vinyl labels. Emergency safety signs - 150 x 300 mm assembly point group symbol & a self adhesive vinyl labels. Emergency safety signs 150 x 300 mm assembly point self adhesive vinyl labels. Emergency safety signs - 150 x 300 mm assembly point self adhesive vinyl labels. Emergency safety signs 150 x 300 mm your fire assembly point is self adhesive vinyl labels. Emergency safety signs - 150 x 300 mm your fire assembly point is self adhesive vinyl labels. Emergency safety signs A5fire assembly point 6 self adhesive vinyl labels. Emergency safety signs - A5 fire assembly point 6 self adhesive vinyl labels. Emergency safety signs A5fire assembly point 3 self adhesive vinyl labels. Emergency safety signs - A5 fire assembly point 3 self adhesive vinyl labels. Emergency safety signs A5fire assembly point 4 1.2 mm rigid plastic signs. Emergency safety signs - A5 fire assembly point 4 1.2 mm rigid plastic signs. Emergency safety signs A5fire assembly point 5 1.2 mm rigid plastic signs. Emergency safety signs - A5 fire assembly point 5 1.2 mm rigid plastic signs. Emergency safety signs A5fire assembly point c 1.2 mm rigid plastic signs. Emergency safety signs - A5 fire assembly point c 1.2 mm rigid plastic signs. Emergency safety signs A5fire assembly point 8 1.2 mm rigid plastic signs. Emergency safety signs - A5 fire assembly point 8 1.2 mm rigid plastic signs. Emergency safety signs A5fire assembly point 7 1.2 mm rigid plastic signs. Emergency safety signs - A5 fire assembly point 7 1.2 mm rigid plastic signs. Emergency safety signs A5fire assembly point 1 1.2 mm rigid plastic signs. Emergency safety signs - A5 fire assembly point 1 1.2 mm rigid plastic signs. Emergency safety signs A5emergency assembly point 1.2 mm rigid plastic signs. Emergency safety signs - A5 emergency assembly point 1.2 mm rigid plastic signs. Emergency safety signs A5fire assembly point 2 1.2 mm rigid plastic signs. Emergency safety signs - A5 fire assembly point 2 1.2 mm rigid plastic signs. Emergency safety signs A5fire assembly point 1.2 mm rigid plastic signs. Emergency safety signs - A5 fire assembly point 1.2 mm rigid plastic signs. Emergency safety signs A5fire assembly point f 1.2 mm rigid plastic signs. Emergency safety signs - A5 fire assembly point f 1.2 mm rigid plastic signs. Emergency safety signs A5fire assembly point e 1.2 mm rigid plastic signs. Emergency safety signs - A5 fire assembly point e 1.2 mm rigid plastic signs. Emergency safety signs A5fire assembly point b 1.2 mm rigid plastic signs. Emergency safety signs - A5 fire assembly point b 1.2 mm rigid plastic signs. Emergency safety signs 125 x 525 assembly point group symbol and a self adhesive vinyl labels. Emergency safety signs - 125 x 525 assembly point group symbol & a self adhesive vinyl labels. Emergency safety signs 150 x 300 mm assembly point group symbol and a 1.2 mm rigid plastic signs. Emergency safety signs - 150 x 300 mm assembly point group symbol & a 1.2 mm rigid plastic signs. Emergency safety signs 150 x 300 mm assembly point 1.2 mm rigid plastic signs. Emergency safety signs - 150 x 300 mm assembly point 1.2 mm rigid plastic signs. Emergency safety signs 150 x 300 mm your fire assembly point is 1.2 mm rigid plastic signs. Emergency safety signs - 150 x 300 mm your fire assembly point is 1.2 mm rigid plastic signs. Emergency safety signs A5fire assembly point 6 1.2 mm rigid plastic signs. Emergency safety signs - A5 fire assembly point 6 1.2 mm rigid plastic signs. Emergency safety signs A5fire assembly point 3 1.2 mm rigid plastic signs. Emergency safety signs - A5 fire assembly point 3 1.2 mm rigid plastic signs. Emergency safety signs A5fire assembly point a 1.2 mm rigid plastic signs. Emergency safety signs - A5 fire assembly point a 1.2 mm rigid plastic signs. Emergency safety signs 250 x 350 mm emergency assembly point self adhesive vinyl labels. Emergency safety signs - 250 x 350 mm emergency assembly point self adhesive vinyl labels. Emergency safety signs 250 x 350 mm your fire assembly point is self adhesive vinyl labels. Emergency safety signs - 250 x 350 mm your fire assembly point is self adhesive vinyl labels. Emergency safety signs 400 x 300 mm your fire assembly point is self adhesive vinyl labels. Emergency safety signs - 400 x 300 mm your fire assembly point is self adhesive vinyl labels. Emergency safety signs 400 x 300 mm fire assembly point e self adhesive vinyl labels. Emergency safety signs - 400 x 300 mm fire assembly point e self adhesive vinyl labels. Emergency safety signs 400 x 300 mm fire assembly point f self adhesive vinyl labels. Emergency safety signs - 400 x 300 mm fire assembly point f self adhesive vinyl labels. Emergency safety signs 400 x 300 mm emergency assembly point self adhesive vinyl labels. Emergency safety signs - 400 x 300 mm emergency assembly point self adhesive vinyl labels. Emergency safety signs 400 x 300 mm fire assembly point 1 self adhesive vinyl labels. Emergency safety signs - 400 x 300 mm fire assembly point 1 self adhesive vinyl labels. Emergency safety signs 400 x 300 mm fire assembly point 2 self adhesive vinyl labels. Emergency safety signs - 400 x 300 mm fire assembly point 2 self adhesive vinyl labels. Emergency safety signs 400 x 300 mm fire assembly point b self adhesive vinyl labels. Emergency safety signs - 400 x 300 mm fire assembly point b self adhesive vinyl labels. Emergency safety signs 400 x 300 mm fire assembly point d self adhesive vinyl labels. Emergency safety signs - 400 x 300 mm fire assembly point d self adhesive vinyl labels. Emergency safety signs 400 x 300 mm fire assembly point 8 self adhesive vinyl labels. Emergency safety signs - 400 x 300 mm fire assembly point 8 self adhesive vinyl labels. Emergency safety signs 400 x 300 mm fire assembly point 4 self adhesive vinyl labels. Emergency safety signs - 400 x 300 mm fire assembly point 4 self adhesive vinyl labels. Emergency safety signs 400 x 300 mm fire assembly point 5 self adhesive vinyl labels. Emergency safety signs - 400 x 300 mm fire assembly point 5 self adhesive vinyl labels. Emergency safety signs 400 x 300 mm fire assembly point 7 self adhesive vinyl labels. Emergency safety signs - 400 x 300 mm fire assembly point 7 self adhesive vinyl labels. Emergency safety signs A4 fire assembly point 6 self adhesive vinyl labels. Emergency safety signs - A4 fire assembly point 6 self adhesive vinyl labels. Emergency safety signs A4 fire assembly point 5 self adhesive vinyl labels. Emergency safety signs - A4 fire assembly point 5 self adhesive vinyl labels. Emergency safety signs A4 fire assembly point 4 self adhesive vinyl labels. Emergency safety signs - A4 fire assembly point 4 self adhesive vinyl labels. Emergency safety signs A4 fire assembly point 8 self adhesive vinyl labels. Emergency safety signs - A4 fire assembly point 8 self adhesive vinyl labels. Emergency safety signs A4 fire assembly point c self adhesive vinyl labels. Emergency safety signs - A4 fire assembly point c self adhesive vinyl labels. Emergency safety signs A4 fire assembly point a self adhesive vinyl labels. Emergency safety signs - A4 fire assembly point a self adhesive vinyl labels. Emergency safety signs A4 fire assembly point 2 self adhesive vinyl labels. Emergency safety signs - A4 fire assembly point 2 self adhesive vinyl labels. Emergency safety signs A4 fire assembly point 3 self adhesive vinyl labels. Emergency safety signs - A4 fire assembly point 3 self adhesive vinyl labels. Emergency safety signs A4 fire assembly point self adhesive vinyl labels. Emergency safety signs - A4 fire assembly point self adhesive vinyl labels. Emergency safety signs A4 emergency assembly point self adhesive vinyl labels. Emergency safety signs - A4 emergency assembly point self adhesive vinyl labels. Emergency safety signs A4 fire assembly point e self adhesive vinyl labels. Emergency safety signs - A4 fire assembly point e self adhesive vinyl labels. Emergency safety signs A4 fire assembly point f self adhesive vinyl labels. Emergency safety signs - A4 fire assembly point f self adhesive vinyl labels. Emergency safety signs A4 fire assembly point b self adhesive vinyl labels. Emergency safety signs - A4 fire assembly point b self adhesive vinyl labels. Emergency safety signs 150 x 600 mm assembly point self adhesive vinyl labels. Emergency safety signs - 150 x 600 mm assembly point self adhesive vinyl labels. Emergency safety signs 300 x 250 mm assembly point self adhesive vinyl labels. Emergency safety signs - 300 x 250 mm assembly point self adhesive vinyl labels. Emergency safety signs 300 x 250 mm emergency assembly point self adhesive vinyl labels. Emergency safety signs - 300 x 250 mm emergency assembly point self adhesive vinyl labels. Emergency safety signs 300 x 250 mm fire assembly point self adhesive vinyl labels. Emergency safety signs - 300 x 250 mm fire assembly point self adhesive vinyl labels. Emergency safety signs A3 emergency assembly point self adhesive vinyl labels. Emergency safety signs - A3 emergency assembly point self adhesive vinyl labels. Emergency safety signs A3 fire assembly point 1 self adhesive vinyl labels. Emergency safety signs - A3 fire assembly point 1 self adhesive vinyl labels. Emergency safety signs A3 fire assembly point 3 self adhesive vinyl labels. Emergency safety signs - A3 fire assembly point 3 self adhesive vinyl labels. Emergency safety signs A3 fire assembly point 2 self adhesive vinyl labels. Emergency safety signs - A3 fire assembly point 2 self adhesive vinyl labels. Emergency safety signs A3 fire assembly point a self adhesive vinyl labels. Emergency safety signs - A3 fire assembly point a self adhesive vinyl labels. Emergency safety signs A3 fire assembly point 8 self adhesive vinyl labels. Emergency safety signs - A3 fire assembly point 8 self adhesive vinyl labels. Emergency safety signs A3 fire assembly point 7 self adhesive vinyl labels. Emergency safety signs - A3 fire assembly point 7 self adhesive vinyl labels. Emergency safety signs A3 fire assembly point 5 self adhesive vinyl labels. Emergency safety signs - A3 fire assembly point 5 self adhesive vinyl labels. Emergency safety signs A3 fire assembly point 6 self adhesive vinyl labels. Emergency safety signs - A3 fire assembly point 6 self adhesive vinyl labels. Emergency safety signs A3 fire assembly point b self adhesive vinyl labels. Emergency safety signs - A3 fire assembly point b self adhesive vinyl labels. Emergency safety signs A3 fire assembly point c self adhesive vinyl labels. Emergency safety signs - A3 fire assembly point c self adhesive vinyl labels. Emergency safety signs A3 fire assembly point f self adhesive vinyl labels. Emergency safety signs - A3 fire assembly point f self adhesive vinyl labels. Emergency safety signs A3 fire assembly point e self adhesive vinyl labels. Emergency safety signs - A3 fire assembly point e self adhesive vinyl labels. Emergency safety signs 250 x 350 mm fire assembly point self adhesive vinyl labels. Emergency safety signs - 250 x 350 mm fire assembly point self adhesive vinyl labels. Emergency safety signs 400 x 300 mm fire assembly point 3 self adhesive vinyl labels. Emergency safety signs - 400 x 300 mm fire assembly point 3 self adhesive vinyl labels. Emergency safety signs 400 x 300 mm fire assembly point a self adhesive vinyl labels. Emergency safety signs - 400 x 300 mm fire assembly point a self adhesive vinyl labels. Emergency safety signs 400 x 300 mm fire assembly point 6 self adhesive vinyl labels. Emergency safety signs - 400 x 300 mm fire assembly point 6 self adhesive vinyl labels. Emergency safety signs 400 x 300 mm fire assembly point self adhesive vinyl labels. Emergency safety signs - 400 x 300 mm fire assembly point self adhesive vinyl labels. Emergency safety signs 400 x 300 mm fire assembly point c self adhesive vinyl labels. Emergency safety signs - 400 x 300 mm fire assembly point c self adhesive vinyl labels. Emergency safety signs A4 fire assembly point 1 self adhesive vinyl labels. Emergency safety signs - A4 fire assembly point 1 self adhesive vinyl labels. Emergency safety signs A4 fire assembly point 7 self adhesive vinyl labels. Emergency safety signs - A4 fire assembly point 7 self adhesive vinyl labels. Emergency safety signs 300 x 500 mm assembly point group symbol and a self adhesive vinyl labels. Emergency safety signs - 300 x 500 mm assembly point group symbol & a self adhesive vinyl labels. Emergency safety signs 300 x 500 mm assembly point self adhesive vinyl labels. Emergency safety signs - 300 x 500 mm assembly point self adhesive vinyl labels. Emergency safety signs A3 fire assembly point 4 self adhesive vinyl labels. Emergency safety signs - A3 fire assembly point 4 self adhesive vinyl labels. Emergency safety signs 250 x 350 mm emergency assembly point 1.2 mm rigid plastic signs. Emergency safety signs - 250 x 350 mm emergency assembly point 1.2 mm rigid plastic signs. Emergency safety signs 250 x 350 mm your fire assembly point is 1.2 mm rigid plastic signs. Emergency safety signs - 250 x 350 mm your fire assembly point is 1.2 mm rigid plastic signs. Emergency safety signs A4 fire assembly point b 1.2 mm rigid plastic signs. Emergency safety signs - A4 fire assembly point b 1.2 mm rigid plastic signs. Emergency safety signs A4 fire assembly point e 1.2 mm rigid plastic signs. Emergency safety signs - A4 fire assembly point e 1.2 mm rigid plastic signs. Emergency safety signs A4 fire assembly point f 1.2 mm rigid plastic signs. Emergency safety signs - A4 fire assembly point f 1.2 mm rigid plastic signs. Emergency safety signs A4 fire assembly point 1 1.2 mm rigid plastic signs. Emergency safety signs - A4 fire assembly point 1 1.2 mm rigid plastic signs. Emergency safety signs A4 emergency assembly point 1.2 mm rigid plastic signs. Emergency safety signs - A4 emergency assembly point 1.2 mm rigid plastic signs. Emergency safety signs A4 fire assembly point 3 1.2 mm rigid plastic signs. Emergency safety signs - A4 fire assembly point 3 1.2 mm rigid plastic signs. Emergency safety signs A4 fire assembly point 2 1.2 mm rigid plastic signs. Emergency safety signs - A4 fire assembly point 2 1.2 mm rigid plastic signs. Emergency safety signs A4 fire assembly point 1.2 mm rigid plastic signs. Emergency safety signs - A4 fire assembly point 1.2 mm rigid plastic signs. Emergency safety signs A4 fire assembly point 5 1.2 mm rigid plastic signs. Emergency safety signs - A4 fire assembly point 5 1.2 mm rigid plastic signs. Emergency safety signs A4 fire assembly point 6 1.2 mm rigid plastic signs. 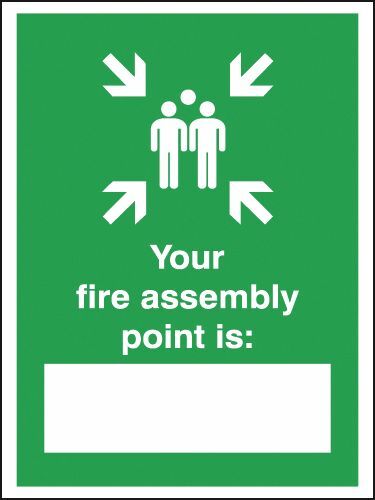 Emergency safety signs - A4 fire assembly point 6 1.2 mm rigid plastic signs. Emergency safety signs A4 fire assembly point 8 1.2 mm rigid plastic signs. Emergency safety signs - A4 fire assembly point 8 1.2 mm rigid plastic signs. Emergency safety signs A4 fire assembly point a 1.2 mm rigid plastic signs. Emergency safety signs - A4 fire assembly point a 1.2 mm rigid plastic signs. Emergency safety signs 300 x 250 mm emergency assembly point 1.2 mm rigid plastic signs. Emergency safety signs - 300 x 250 mm emergency assembly point 1.2 mm rigid plastic signs. Emergency safety signs 300 x 250 mm assembly point 1.2 mm rigid plastic signs. Emergency safety signs - 300 x 250 mm assembly point 1.2 mm rigid plastic signs. Emergency safety signs 400 x 300 mm emergency assembly point 1.2 mm rigid plastic signs. Emergency safety signs - 400 x 300 mm emergency assembly point 1.2 mm rigid plastic signs. Emergency safety signs 400 x 300 mm fire assembly point 1.2 mm rigid plastic signs. Emergency safety signs - 400 x 300 mm fire assembly point 1.2 mm rigid plastic signs. 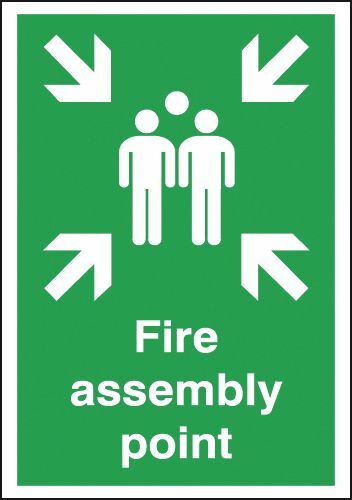 Emergency safety signs 400 x 300 mm fire assembly point 2 1.2 mm rigid plastic signs. Emergency safety signs - 400 x 300 mm fire assembly point 2 1.2 mm rigid plastic signs. Emergency safety signs 400 x 300 mm fire assembly point 1 1.2 mm rigid plastic signs. Emergency safety signs - 400 x 300 mm fire assembly point 1 1.2 mm rigid plastic signs. Emergency safety signs 400 x 300 mm fire assembly point b 1.2 mm rigid plastic signs. Emergency safety signs - 400 x 300 mm fire assembly point b 1.2 mm rigid plastic signs. Emergency safety signs 400 x 300 mm fire assembly point d 1.2 mm rigid plastic signs. Emergency safety signs - 400 x 300 mm fire assembly point d 1.2 mm rigid plastic signs. Emergency safety signs 400 x 300 mm fire assembly point a 1.2 mm rigid plastic signs. Emergency safety signs - 400 x 300 mm fire assembly point a 1.2 mm rigid plastic signs. Emergency safety signs 400 x 300 mm fire assembly point 8 1.2 mm rigid plastic signs. Emergency safety signs - 400 x 300 mm fire assembly point 8 1.2 mm rigid plastic signs. 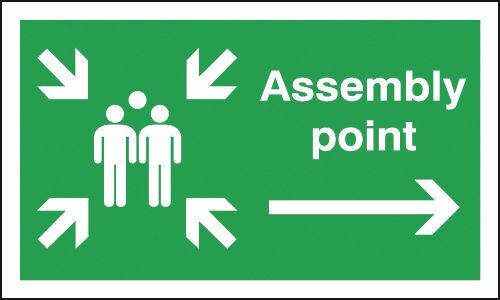 Emergency safety signs 400 x 300 mm fire assembly point 7 1.2 mm rigid plastic signs. 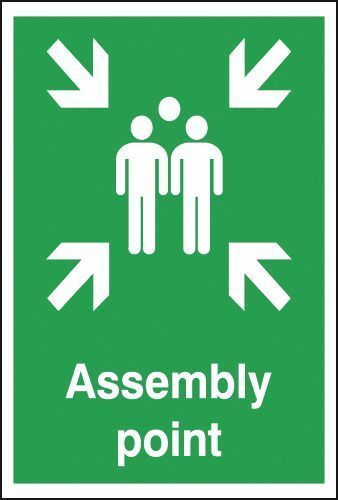 Emergency safety signs - 400 x 300 mm fire assembly point 7 1.2 mm rigid plastic signs. Emergency safety signs 400 x 300 mm fire assembly point 4 1.2 mm rigid plastic signs. 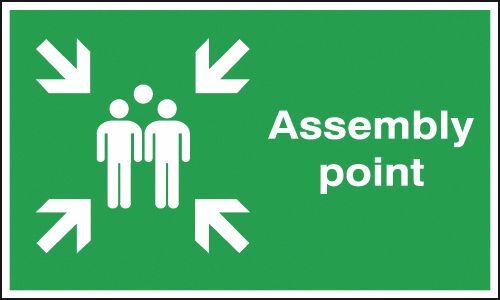 Emergency safety signs - 400 x 300 mm fire assembly point 4 1.2 mm rigid plastic signs. Emergency safety signs 400 x 300 mm fire assembly point 5 1.2 mm rigid plastic signs. Emergency safety signs - 400 x 300 mm fire assembly point 5 1.2 mm rigid plastic signs. Emergency safety signs 400 x 300 mm fire assembly point f 1.2 mm rigid plastic signs. 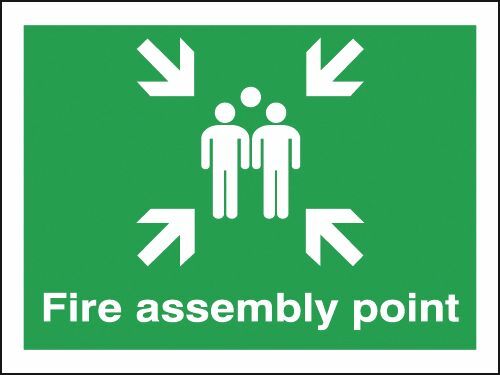 Emergency safety signs - 400 x 300 mm fire assembly point f 1.2 mm rigid plastic signs. 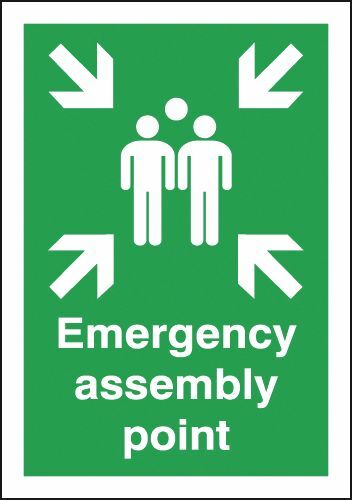 Emergency safety signs 400 x 300 mm fire assembly point e 1.2 mm rigid plastic signs. 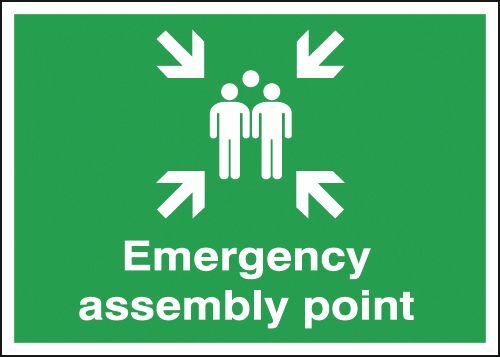 Emergency safety signs - 400 x 300 mm fire assembly point e 1.2 mm rigid plastic signs. 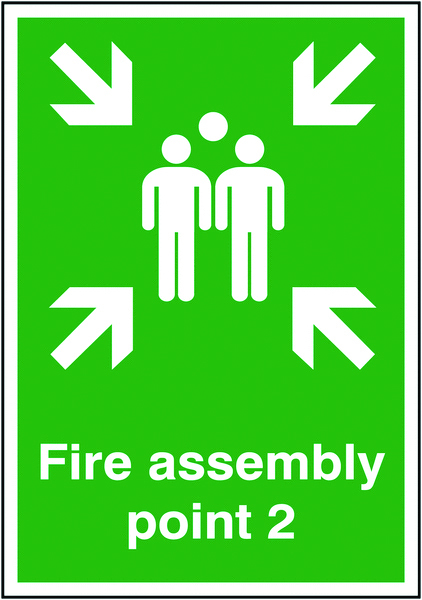 Emergency safety signs 400 x 300 mm your fire assembly point is 1.2 mm rigid plastic signs. Emergency safety signs - 400 x 300 mm your fire assembly point is 1.2 mm rigid plastic signs. Emergency safety signs 150 x 600 mm assembly point 1.2 mm rigid plastic signs. Emergency safety signs - 150 x 600 mm assembly point 1.2 mm rigid plastic signs. Emergency safety signs 300 x 500 mm assembly point 1.2 mm rigid plastic signs. Emergency safety signs - 300 x 500 mm assembly point 1.2 mm rigid plastic signs. Emergency safety signs 300 x 500 mm assembly point group symbol and a 1.2 mm rigid plastic signs. Emergency safety signs - 300 x 500 mm assembly point group symbol & a 1.2 mm rigid plastic signs. Emergency safety signs 250 x 350 mm fire assembly point 1.2 mm rigid plastic signs. Emergency safety signs - 250 x 350 mm fire assembly point 1.2 mm rigid plastic signs. Emergency safety signs A4 fire assembly point 7 1.2 mm rigid plastic signs. Emergency safety signs - A4 fire assembly point 7 1.2 mm rigid plastic signs. Emergency safety signs A3 fire assembly point 7 1.2 mm rigid plastic signs. Emergency safety signs - A3 fire assembly point 7 1.2 mm rigid plastic signs. Emergency safety signs A3 fire assembly point a 1.2 mm rigid plastic signs. Emergency safety signs - A3 fire assembly point a 1.2 mm rigid plastic signs. Emergency safety signs A3 fire assembly point 4 1.2 mm rigid plastic signs. Emergency safety signs - A3 fire assembly point 4 1.2 mm rigid plastic signs. Emergency safety signs A3 fire assembly point 6 1.2 mm rigid plastic signs. Emergency safety signs - A3 fire assembly point 6 1.2 mm rigid plastic signs. Emergency safety signs A3 fire assembly point 5 1.2 mm rigid plastic signs. Emergency safety signs - A3 fire assembly point 5 1.2 mm rigid plastic signs. Emergency safety signs A3 emergency assembly point 1.2 mm rigid plastic signs. Emergency safety signs - A3 emergency assembly point 1.2 mm rigid plastic signs. Emergency safety signs A3 fire assembly point 1 1.2 mm rigid plastic signs. Emergency safety signs - A3 fire assembly point 1 1.2 mm rigid plastic signs. Emergency safety signs 450 x 600 mm fire assembly point self adhesive vinyl labels. Emergency safety signs - 450 x 600 mm fire assembly point self adhesive vinyl labels. Emergency safety signs A3 fire assembly point 2 1.2 mm rigid plastic signs. Emergency safety signs - A3 fire assembly point 2 1.2 mm rigid plastic signs. Emergency safety signs A3 fire assembly point 3 1.2 mm rigid plastic signs. Emergency safety signs - A3 fire assembly point 3 1.2 mm rigid plastic signs. Emergency safety signs A3 fire assembly point e 1.2 mm rigid plastic signs. Emergency safety signs - A3 fire assembly point e 1.2 mm rigid plastic signs. Emergency safety signs A3 fire assembly point c 1.2 mm rigid plastic signs. Emergency safety signs - A3 fire assembly point c 1.2 mm rigid plastic signs. Emergency safety signs A3 fire assembly point f 1.2 mm rigid plastic signs. 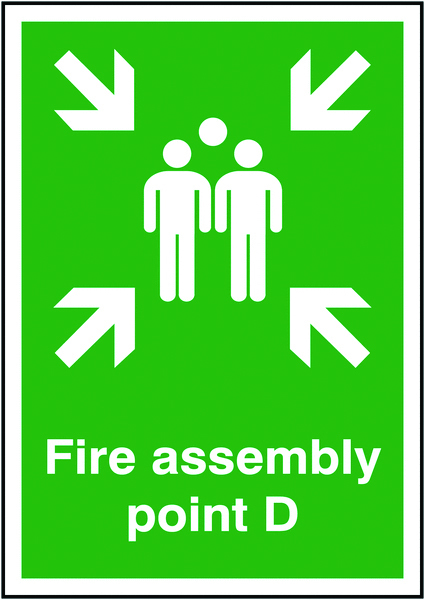 Emergency safety signs - A3 fire assembly point f 1.2 mm rigid plastic signs. Emergency safety signs A4 fire assembly point 4 1.2 mm rigid plastic signs. Emergency safety signs - A4 fire assembly point 4 1.2 mm rigid plastic signs. Emergency safety signs A4 fire assembly point c 1.2 mm rigid plastic signs. Emergency safety signs - A4 fire assembly point c 1.2 mm rigid plastic signs. Emergency safety signs 300 x 250 mm fire assembly point 1.2 mm rigid plastic signs. Emergency safety signs - 300 x 250 mm fire assembly point 1.2 mm rigid plastic signs. Emergency safety signs 400 x 300 mm fire assembly point 3 1.2 mm rigid plastic signs. Emergency safety signs - 400 x 300 mm fire assembly point 3 1.2 mm rigid plastic signs. Emergency safety signs 400 x 300 mm fire assembly point 6 1.2 mm rigid plastic signs. Emergency safety signs - 400 x 300 mm fire assembly point 6 1.2 mm rigid plastic signs. 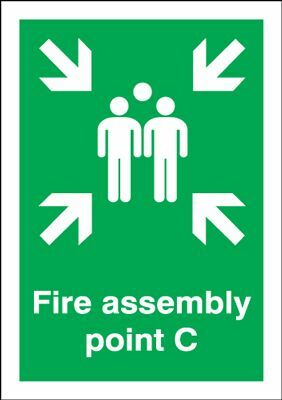 Emergency safety signs 400 x 300 mm fire assembly point c 1.2 mm rigid plastic signs. Emergency safety signs - 400 x 300 mm fire assembly point c 1.2 mm rigid plastic signs. Emergency safety signs A5fire assembly point b 1.2 mm rigid plastic signs with s/a backing. Emergency safety signs - A5 fire assembly point b 1.2 mm rigid plastic signs with self adhesive backing. Emergency safety signs A5fire assembly point f 1.2 mm rigid plastic signs with s/a backing. Emergency safety signs - A5 fire assembly point f 1.2 mm rigid plastic signs with self adhesive backing. Emergency safety signs A5fire assembly point e 1.2 mm rigid plastic signs with s/a backing. Emergency safety signs - A5 fire assembly point e 1.2 mm rigid plastic signs with self adhesive backing. Emergency safety signs A5fire assembly point 5 1.2 mm rigid plastic signs with s/a backing. Emergency safety signs - A5 fire assembly point 5 1.2 mm rigid plastic signs with self adhesive backing. Emergency safety signs A5fire assembly point 6 1.2 mm rigid plastic signs with s/a backing. Emergency safety signs - A5 fire assembly point 6 1.2 mm rigid plastic signs with self adhesive backing. Emergency safety signs A5fire assembly point 4 1.2 mm rigid plastic signs with s/a backing. Emergency safety signs - A5 fire assembly point 4 1.2 mm rigid plastic signs with self adhesive backing. Emergency safety signs A5fire assembly point c 1.2 mm rigid plastic signs with s/a backing. Emergency safety signs - A5 fire assembly point c 1.2 mm rigid plastic signs with self adhesive backing. Emergency safety signs A5fire assembly point 7 1.2 mm rigid plastic signs with s/a backing. Emergency safety signs - A5 fire assembly point 7 1.2 mm rigid plastic signs with self adhesive backing. Emergency safety signs A5fire assembly point 8 1.2 mm rigid plastic signs with s/a backing. Emergency safety signs - A5 fire assembly point 8 1.2 mm rigid plastic signs with self adhesive backing. Emergency safety signs A5fire assembly point 2 1.2 mm rigid plastic signs with s/a backing. Emergency safety signs - A5 fire assembly point 2 1.2 mm rigid plastic signs with self adhesive backing. Emergency safety signs A5fire assembly point 1.2 mm rigid plastic signs with s/a backing. Emergency safety signs - A5 fire assembly point 1.2 mm rigid plastic signs with self adhesive backing. Emergency safety signs A5emergency assembly point 1.2 mm rigid plastic signs with s/a backing. Emergency safety signs - A5 emergency assembly point 1.2 mm rigid plastic signs with self adhesive backing. Emergency safety signs 150 x 300 mm assembly point group symbol and a 1.2 mm rigid plastic signs with s/a backing. Emergency safety signs - 150 x 300 mm assembly point group symbol & a 1.2 mm rigid plastic signs with self adhesive backing. Emergency safety signs 125 x 525 assembly point group symbol and a 1.2 mm rigid plastic signs with s/a backing. Emergency safety signs - 125 x 525 assembly point group symbol & a 1.2 mm rigid plastic signs with self adhesive backing. Emergency safety signs 150 x 300 mm assembly point 1.2 mm rigid plastic signs with s/a backing. Emergency safety signs - 150 x 300 mm assembly point 1.2 mm rigid plastic signs with self adhesive backing. Emergency safety signs 150 x 600 mm assembly point 1.2 mm rigid plastic signs with s/a backing. Emergency safety signs - 150 x 600 mm assembly point 1.2 mm rigid plastic signs with self adhesive backing. Emergency safety signs A2 420 x 598 mm fire assembly point self adhesive vinyl labels. Emergency safety signs - A2 fire assembly point self adhesive vinyl labels. Emergency safety signs A2 420 x 598 mm fire assembly point 1 self adhesive vinyl labels. Emergency safety signs - A2 fire assembly point 1 self adhesive vinyl labels. Emergency safety signs A2 420 x 598 mm fire assembly point 2 self adhesive vinyl labels. Emergency safety signs - A2 fire assembly point 2 self adhesive vinyl labels. Emergency safety signs A2 420 x 598 mm fire assembly point 3 self adhesive vinyl labels. Emergency safety signs - A2 fire assembly point 3 self adhesive vinyl labels. Emergency safety signs A2 420 x 598 mm fire assembly point 8 self adhesive vinyl labels. Emergency safety signs - A2 fire assembly point 8 self adhesive vinyl labels. Emergency safety signs A2 420 x 598 mm fire assembly point 7 self adhesive vinyl labels. Emergency safety signs - A2 fire assembly point 7 self adhesive vinyl labels. 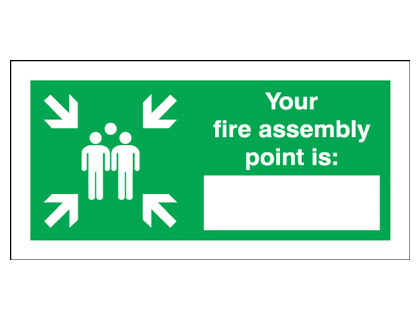 Emergency safety signs A2 420 x 598 mm fire assembly point a self adhesive vinyl labels. Emergency safety signs - A2 fire assembly point a self adhesive vinyl labels. Emergency safety signs A2 420 x 598 mm fire assembly point b self adhesive vinyl labels. Emergency safety signs - A2 fire assembly point b self adhesive vinyl labels. Emergency safety signs A2 420 x 598 mm fire assembly point 4 self adhesive vinyl labels. Emergency safety signs - A2 fire assembly point 4 self adhesive vinyl labels. Emergency safety signs A2 420 x 598 mm fire assembly point 6 self adhesive vinyl labels. Emergency safety signs - A2 fire assembly point 6 self adhesive vinyl labels. Emergency safety signs A2 420 x 598 mm fire assembly point f self adhesive vinyl labels. Emergency safety signs - A2 fire assembly point f self adhesive vinyl labels. Emergency safety signs A2 420 x 598 mm fire assembly point c self adhesive vinyl labels. Emergency safety signs - A2 fire assembly point c self adhesive vinyl labels. Emergency safety signs A2 420 x 598 mm fire assembly point e self adhesive vinyl labels. Emergency safety signs - A2 fire assembly point e self adhesive vinyl labels. Emergency safety signs A3 fire assembly point 1.2 mm rigid plastic signs. Emergency safety signs - A3 fire assembly point 1.2 mm rigid plastic signs. Emergency safety signs A3 fire assembly point 8 1.2 mm rigid plastic signs. Emergency safety signs - A3 fire assembly point 8 1.2 mm rigid plastic signs. Emergency safety signs A3 fire assembly point b 1.2 mm rigid plastic signs. Emergency safety signs - A3 fire assembly point b 1.2 mm rigid plastic signs. Emergency safety signs A5fire assembly point a 1.2 mm rigid plastic signs with s/a backing. Emergency safety signs - A5 fire assembly point a 1.2 mm rigid plastic signs with self adhesive backing. Emergency safety signs A5fire assembly point 3 1.2 mm rigid plastic signs with s/a backing. Emergency safety signs - A5 fire assembly point 3 1.2 mm rigid plastic signs with self adhesive backing. Emergency safety signs A5fire assembly point 1 1.2 mm rigid plastic signs with s/a backing. Emergency safety signs - A5 fire assembly point 1 1.2 mm rigid plastic signs with self adhesive backing. Emergency safety signs 150 x 300 mm your fire assembly point is 1.2 mm rigid plastic signs with s/a backing. Emergency safety signs - 150 x 300 mm your fire assembly point is 1.2 mm rigid plastic signs with self adhesive backing. Emergency safety signs A2 420 x 598 mm fire assembly point 5 self adhesive vinyl labels. Emergency safety signs - A2 fire assembly point 5 self adhesive vinyl labels. Emergency safety signs A2 420 x 598 mm emergency assembly point self adhesive vinyl labels. Emergency safety signs - A2 emergency assembly point self adhesive vinyl labels. Emergency safety signs A2 420 x 598 mm emergency assembly point 1.2 mm rigid plastic signs. Emergency safety signs - A2 emergency assembly point 1.2 mm rigid plastic signs. Emergency safety signs A2 420 x 598 mm fire assembly point 3 1.2 mm rigid plastic signs. Emergency safety signs - A2 fire assembly point 3 1.2 mm rigid plastic signs. Emergency safety signs A2 420 x 598 mm fire assembly point 2 1.2 mm rigid plastic signs. Emergency safety signs - A2 fire assembly point 2 1.2 mm rigid plastic signs. Emergency safety signs A2 420 x 598 mm fire assembly point 1.2 mm rigid plastic signs. Emergency safety signs - A2 fire assembly point 1.2 mm rigid plastic signs. Emergency safety signs A2 420 x 598 mm fire assembly point 1 1.2 mm rigid plastic signs. Emergency safety signs - A2 fire assembly point 1 1.2 mm rigid plastic signs. Emergency safety signs A2 420 x 598 mm fire assembly point 4 1.2 mm rigid plastic signs. Emergency safety signs - A2 fire assembly point 4 1.2 mm rigid plastic signs. Emergency safety signs A2 420 x 598 mm fire assembly point 7 1.2 mm rigid plastic signs. Emergency safety signs - A2 fire assembly point 7 1.2 mm rigid plastic signs. Emergency safety signs A2 420 x 598 mm fire assembly point a 1.2 mm rigid plastic signs. Emergency safety signs - A2 fire assembly point a 1.2 mm rigid plastic signs. Emergency safety signs A2 420 x 598 mm fire assembly point 8 1.2 mm rigid plastic signs. Emergency safety signs - A2 fire assembly point 8 1.2 mm rigid plastic signs. Emergency safety signs A2 420 x 598 mm fire assembly point b 1.2 mm rigid plastic signs. Emergency safety signs - A2 fire assembly point b 1.2 mm rigid plastic signs. Emergency safety signs A2 420 x 598 mm fire assembly point c 1.2 mm rigid plastic signs. Emergency safety signs - A2 fire assembly point c 1.2 mm rigid plastic signs. Emergency safety signs A2 420 x 598 mm fire assembly point f 1.2 mm rigid plastic signs. 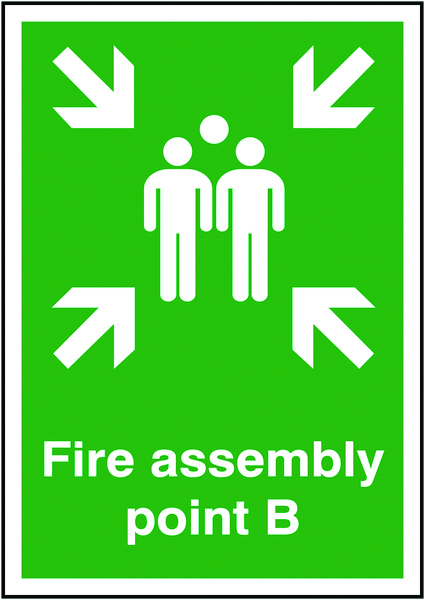 Emergency safety signs - A2 fire assembly point f 1.2 mm rigid plastic signs. Emergency safety signs 300 x 250 mm assembly point 1.2 mm rigid plastic signs with s/a backing. Emergency safety signs - 300 x 250 mm assembly point 1.2 mm rigid plastic signs with self adhesive backing. Emergency safety signs 300 x 250 mm emergency assembly point 1.2 mm rigid plastic signs with s/a backing. Emergency safety signs - 300 x 250 mm emergency assembly point 1.2 mm rigid plastic signs with self adhesive backing. Emergency safety signs 450 x 600 mm fire assembly point 1.2 mm rigid plastic signs. Emergency safety signs - 450 x 600 mm fire assembly point 1.2 mm rigid plastic signs. Emergency safety signs A1 fire assembly point self adhesive vinyl labels. Emergency safety signs - A1 fire assembly point self adhesive vinyl labels. Emergency safety signs A1 fire assembly point 1 self adhesive vinyl labels. Emergency safety signs - A1 fire assembly point 1 self adhesive vinyl labels. Emergency safety signs A1 fire assembly point 3 self adhesive vinyl labels. Emergency safety signs - A1 fire assembly point 3 self adhesive vinyl labels. Emergency safety signs A1 emergency assembly point self adhesive vinyl labels. Emergency safety signs - A1 emergency assembly point self adhesive vinyl labels. Emergency safety signs A1 fire assembly point 8 self adhesive vinyl labels. Emergency safety signs - A1 fire assembly point 8 self adhesive vinyl labels. Emergency safety signs A1 fire assembly point a self adhesive vinyl labels. Emergency safety signs - A1 fire assembly point a self adhesive vinyl labels. Emergency safety signs A1 fire assembly point b self adhesive vinyl labels. Emergency safety signs - A1 fire assembly point b self adhesive vinyl labels. Emergency safety signs A1 fire assembly point 7 self adhesive vinyl labels. Emergency safety signs - A1 fire assembly point 7 self adhesive vinyl labels. Emergency safety signs A1 fire assembly point 6 self adhesive vinyl labels. Emergency safety signs - A1 fire assembly point 6 self adhesive vinyl labels. Emergency safety signs A1 fire assembly point 4 self adhesive vinyl labels. Emergency safety signs - A1 fire assembly point 4 self adhesive vinyl labels. Emergency safety signs A1 fire assembly point 5 self adhesive vinyl labels. Emergency safety signs - A1 fire assembly point 5 self adhesive vinyl labels. Emergency safety signs A1 fire assembly point f self adhesive vinyl labels. Emergency safety signs - A1 fire assembly point f self adhesive vinyl labels. Emergency safety signs A1 fire assembly point e self adhesive vinyl labels. Emergency safety signs - A1 fire assembly point e self adhesive vinyl labels. Emergency safety signs A1 fire assembly point c self adhesive vinyl labels. Emergency safety signs - A1 fire assembly point c self adhesive vinyl labels. 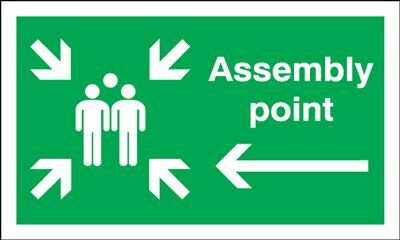 Emergency safety signs A2 420 x 598 mm fire assembly point 5 1.2 mm rigid plastic signs. Emergency safety signs - A2 fire assembly point 5 1.2 mm rigid plastic signs. Emergency safety signs A2 420 x 598 mm fire assembly point 6 1.2 mm rigid plastic signs. Emergency safety signs - A2 fire assembly point 6 1.2 mm rigid plastic signs. Emergency safety signs A2 420 x 598 mm fire assembly point e 1.2 mm rigid plastic signs. Emergency safety signs - A2 fire assembly point e 1.2 mm rigid plastic signs. Emergency safety signs 300 x 250 mm fire assembly point 1.2 mm rigid plastic signs with s/a backing. Emergency safety signs - 300 x 250 mm fire assembly point 1.2 mm rigid plastic signs with self adhesive backing. Emergency safety signs 250 x 350 mm emergency assembly point 1.2 mm rigid plastic signs with s/a backing. Emergency safety signs - 250 x 350 mm emergency assembly point 1.2 mm rigid plastic signs with self adhesive backing. Emergency safety signs 250 x 350 mm your fire assembly point is 1.2 mm rigid plastic signs with s/a backing. 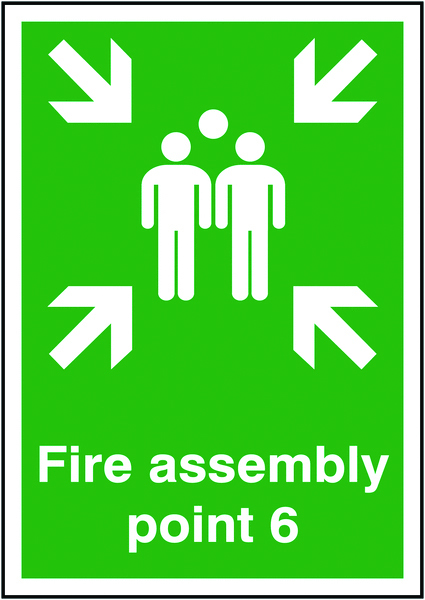 Emergency safety signs - 250 x 350 mm your fire assembly point is 1.2 mm rigid plastic signs with self adhesive backing. Emergency safety signs 400 x 300 mm your fire assembly point is 1.2 mm rigid plastic signs with s/a backing. Emergency safety signs - 400 x 300 mm your fire assembly point is 1.2 mm rigid plastic signs with self adhesive backing. Emergency safety signs 400 x 300 mm fire assembly point e 1.2 mm rigid plastic signs with s/a backing. Emergency safety signs - 400 x 300 mm fire assembly point e 1.2 mm rigid plastic signs with self adhesive backing. Emergency safety signs 400 x 300 mm fire assembly point c 1.2 mm rigid plastic signs with s/a backing. Emergency safety signs - 400 x 300 mm fire assembly point c 1.2 mm rigid plastic signs with self adhesive backing. Emergency safety signs 400 x 300 mm fire assembly point f 1.2 mm rigid plastic signs with s/a backing. Emergency safety signs - 400 x 300 mm fire assembly point f 1.2 mm rigid plastic signs with self adhesive backing. Emergency safety signs 400 x 300 mm emergency assembly point 1.2 mm rigid plastic signs with s/a backing. Emergency safety signs - 400 x 300 mm emergency assembly point 1.2 mm rigid plastic signs with self adhesive backing. Emergency safety signs 400 x 300 mm fire assembly point 1.2 mm rigid plastic signs with s/a backing. Emergency safety signs - 400 x 300 mm fire assembly point 1.2 mm rigid plastic signs with self adhesive backing. Emergency safety signs 400 x 300 mm fire assembly point 3 1.2 mm rigid plastic signs with s/a backing. Emergency safety signs - 400 x 300 mm fire assembly point 3 1.2 mm rigid plastic signs with self adhesive backing. Emergency safety signs 400 x 300 mm fire assembly point 1 1.2 mm rigid plastic signs with s/a backing. Emergency safety signs - 400 x 300 mm fire assembly point 1 1.2 mm rigid plastic signs with self adhesive backing. Emergency safety signs 400 x 300 mm fire assembly point 2 1.2 mm rigid plastic signs with s/a backing. Emergency safety signs - 400 x 300 mm fire assembly point 2 1.2 mm rigid plastic signs with self adhesive backing. Emergency safety signs 400 x 300 mm fire assembly point 7 1.2 mm rigid plastic signs with s/a backing. Emergency safety signs - 400 x 300 mm fire assembly point 7 1.2 mm rigid plastic signs with self adhesive backing. Emergency safety signs 400 x 300 mm fire assembly point 5 1.2 mm rigid plastic signs with s/a backing. Emergency safety signs - 400 x 300 mm fire assembly point 5 1.2 mm rigid plastic signs with self adhesive backing. Emergency safety signs 400 x 300 mm fire assembly point 4 1.2 mm rigid plastic signs with s/a backing. Emergency safety signs - 400 x 300 mm fire assembly point 4 1.2 mm rigid plastic signs with self adhesive backing. Emergency safety signs 400 x 300 mm fire assembly point b 1.2 mm rigid plastic signs with s/a backing. Emergency safety signs - 400 x 300 mm fire assembly point b 1.2 mm rigid plastic signs with self adhesive backing. Emergency safety signs 400 x 300 mm fire assembly point d 1.2 mm rigid plastic signs with s/a backing. Emergency safety signs - 400 x 300 mm fire assembly point d 1.2 mm rigid plastic signs with self adhesive backing. Emergency safety signs 400 x 300 mm fire assembly point 8 1.2 mm rigid plastic signs with s/a backing. Emergency safety signs - 400 x 300 mm fire assembly point 8 1.2 mm rigid plastic signs with self adhesive backing. Emergency safety signs 400 x 300 mm fire assembly point a 1.2 mm rigid plastic signs with s/a backing. Emergency safety signs - 400 x 300 mm fire assembly point a 1.2 mm rigid plastic signs with self adhesive backing. Emergency safety signs A1 fire assembly point 2 self adhesive vinyl labels. Emergency safety signs - A1 fire assembly point 2 self adhesive vinyl labels. Emergency safety signs 300 x 500 mm assembly point group symbol and a 1.2 mm rigid plastic signs with s/a backing. Emergency safety signs - 300 x 500 mm assembly point group symbol & a 1.2 mm rigid plastic signs with self adhesive backing. Emergency safety signs 300 x 500 mm assembly point 1.2 mm rigid plastic signs with s/a backing. Emergency safety signs - 300 x 500 mm assembly point 1.2 mm rigid plastic signs with self adhesive backing. Emergency safety signs 250 x 350 mm fire assembly point 1.2 mm rigid plastic signs with s/a backing. Emergency safety signs - 250 x 350 mm fire assembly point 1.2 mm rigid plastic signs with self adhesive backing. Emergency safety signs 400 x 300 mm fire assembly point 6 1.2 mm rigid plastic signs with s/a backing. Emergency safety signs - 400 x 300 mm fire assembly point 6 1.2 mm rigid plastic signs with self adhesive backing. Emergency safety signs A1 fire assembly point 6 1.2 mm rigid plastic signs. Emergency safety signs - A1 fire assembly point 6 1.2 mm rigid plastic signs. Emergency safety signs A1 fire assembly point 7 1.2 mm rigid plastic signs. Emergency safety signs - A1 fire assembly point 7 1.2 mm rigid plastic signs. Emergency safety signs A1 fire assembly point 4 1.2 mm rigid plastic signs. Emergency safety signs - A1 fire assembly point 4 1.2 mm rigid plastic signs. Emergency safety signs A1 fire assembly point 5 1.2 mm rigid plastic signs. Emergency safety signs - A1 fire assembly point 5 1.2 mm rigid plastic signs. Emergency safety signs A1 fire assembly point 8 1.2 mm rigid plastic signs. Emergency safety signs - A1 fire assembly point 8 1.2 mm rigid plastic signs. Emergency safety signs A1 fire assembly point a 1.2 mm rigid plastic signs. Emergency safety signs - A1 fire assembly point a 1.2 mm rigid plastic signs. Emergency safety signs A1 fire assembly point b 1.2 mm rigid plastic signs. Emergency safety signs - A1 fire assembly point b 1.2 mm rigid plastic signs. Emergency safety signs A1 emergency assembly point 1.2 mm rigid plastic signs. Emergency safety signs - A1 emergency assembly point 1.2 mm rigid plastic signs. Emergency safety signs A1 fire assembly point 2 1.2 mm rigid plastic signs. Emergency safety signs - A1 fire assembly point 2 1.2 mm rigid plastic signs. Emergency safety signs A1 fire assembly point 3 1.2 mm rigid plastic signs. Emergency safety signs - A1 fire assembly point 3 1.2 mm rigid plastic signs. Emergency safety signs A1 fire assembly point 1 1.2 mm rigid plastic signs. Emergency safety signs - A1 fire assembly point 1 1.2 mm rigid plastic signs. Emergency safety signs A1 fire assembly point 1.2 mm rigid plastic signs. Emergency safety signs - A1 fire assembly point 1.2 mm rigid plastic signs. Emergency safety signs A1 fire assembly point f 1.2 mm rigid plastic signs. Emergency safety signs - A1 fire assembly point f 1.2 mm rigid plastic signs. Emergency safety signs A1 fire assembly point c 1.2 mm rigid plastic signs. Emergency safety signs - A1 fire assembly point c 1.2 mm rigid plastic signs. Emergency safety signs A1 fire assembly point e 1.2 mm rigid plastic signs. Emergency safety signs - A1 fire assembly point e 1.2 mm rigid plastic signs. Emergency safety signs A3 fire assembly point e 1.2 mm rigid plastic signs with s/a backing. Emergency safety signs - A3 fire assembly point e 1.2 mm rigid plastic signs with self adhesive backing. Emergency safety signs A3 fire assembly point c 1.2 mm rigid plastic signs with s/a backing. Emergency safety signs - A3 fire assembly point c 1.2 mm rigid plastic signs with self adhesive backing. Emergency safety signs A3 fire assembly point f 1.2 mm rigid plastic signs with s/a backing. Emergency safety signs - A3 fire assembly point f 1.2 mm rigid plastic signs with self adhesive backing. Emergency safety signs A3 fire assembly point 1 1.2 mm rigid plastic signs with s/a backing. Emergency safety signs - A3 fire assembly point 1 1.2 mm rigid plastic signs with self adhesive backing. Emergency safety signs A3 fire assembly point 3 1.2 mm rigid plastic signs with s/a backing. Emergency safety signs - A3 fire assembly point 3 1.2 mm rigid plastic signs with self adhesive backing. Emergency safety signs A3 fire assembly point 2 1.2 mm rigid plastic signs with s/a backing. Emergency safety signs - A3 fire assembly point 2 1.2 mm rigid plastic signs with self adhesive backing. Emergency safety signs A3 emergency assembly point 1.2 mm rigid plastic signs with s/a backing. Emergency safety signs - A3 emergency assembly point 1.2 mm rigid plastic signs with self adhesive backing. Emergency safety signs A3 fire assembly point a 1.2 mm rigid plastic signs with s/a backing. Emergency safety signs - A3 fire assembly point a 1.2 mm rigid plastic signs with self adhesive backing. Emergency safety signs A3 fire assembly point 7 1.2 mm rigid plastic signs with s/a backing. Emergency safety signs - A3 fire assembly point 7 1.2 mm rigid plastic signs with self adhesive backing. Emergency safety signs A3 fire assembly point 5 1.2 mm rigid plastic signs with s/a backing. Emergency safety signs - A3 fire assembly point 5 1.2 mm rigid plastic signs with self adhesive backing. Emergency safety signs A3 fire assembly point 4 1.2 mm rigid plastic signs with s/a backing. Emergency safety signs - A3 fire assembly point 4 1.2 mm rigid plastic signs with self adhesive backing. Emergency safety signs A3 fire assembly point 6 1.2 mm rigid plastic signs with s/a backing. Emergency safety signs - A3 fire assembly point 6 1.2 mm rigid plastic signs with self adhesive backing. Emergency safety signs A2 420 x 598 mm fire assembly point 6 1.2 mm rigid plastic signs with s/a backing. Emergency safety signs - A2 fire assembly point 6 1.2 mm rigid plastic signs with self adhesive backing. Emergency safety signs A2 420 x 598 mm fire assembly point 7 1.2 mm rigid plastic signs with s/a backing. Emergency safety signs - A2 fire assembly point 7 1.2 mm rigid plastic signs with self adhesive backing. Emergency safety signs A2 420 x 598 mm fire assembly point 4 1.2 mm rigid plastic signs with s/a backing. Emergency safety signs - A2 fire assembly point 4 1.2 mm rigid plastic signs with self adhesive backing. Emergency safety signs A2 420 x 598 mm fire assembly point 8 1.2 mm rigid plastic signs with s/a backing. Emergency safety signs - A2 fire assembly point 8 1.2 mm rigid plastic signs with self adhesive backing. Emergency safety signs A2 420 x 598 mm fire assembly point a 1.2 mm rigid plastic signs with s/a backing. Emergency safety signs - A2 fire assembly point a 1.2 mm rigid plastic signs with self adhesive backing. Emergency safety signs A2 420 x 598 mm fire assembly point b 1.2 mm rigid plastic signs with s/a backing. Emergency safety signs - A2 fire assembly point b 1.2 mm rigid plastic signs with self adhesive backing. Emergency safety signs A2 420 x 598 mm fire assembly point 3 1.2 mm rigid plastic signs with s/a backing. Emergency safety signs - A2 fire assembly point 3 1.2 mm rigid plastic signs with self adhesive backing. Emergency safety signs A2 420 x 598 mm fire assembly point 1 1.2 mm rigid plastic signs with s/a backing. Emergency safety signs - A2 fire assembly point 1 1.2 mm rigid plastic signs with self adhesive backing. Emergency safety signs A2 420 x 598 mm fire assembly point 1.2 mm rigid plastic signs with s/a backing. Emergency safety signs - A2 fire assembly point 1.2 mm rigid plastic signs with self adhesive backing. Emergency safety signs A2 420 x 598 mm fire assembly point f 1.2 mm rigid plastic signs with s/a backing. Emergency safety signs - A2 fire assembly point f 1.2 mm rigid plastic signs with self adhesive backing. Emergency safety signs A2 420 x 598 mm fire assembly point c 1.2 mm rigid plastic signs with s/a backing. Emergency safety signs - A2 fire assembly point c 1.2 mm rigid plastic signs with self adhesive backing. Emergency safety signs 450 x 600 mm fire assembly point 1.2 mm rigid plastic signs with s/a backing. 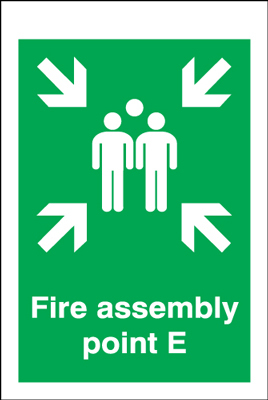 Emergency safety signs - 450 x 600 mm fire assembly point 1.2 mm rigid plastic signs with self adhesive backing. Emergency safety signs A3 fire assembly point 1.2 mm rigid plastic signs with s/a backing. Emergency safety signs - A3 fire assembly point 1.2 mm rigid plastic signs with self adhesive backing. Emergency safety signs A3 fire assembly point 8 1.2 mm rigid plastic signs with s/a backing. Emergency safety signs - A3 fire assembly point 8 1.2 mm rigid plastic signs with self adhesive backing. Emergency safety signs A3 fire assembly point b 1.2 mm rigid plastic signs with s/a backing. Emergency safety signs - A3 fire assembly point b 1.2 mm rigid plastic signs with self adhesive backing. Emergency safety signs A2 420 x 598 mm fire assembly point 5 1.2 mm rigid plastic signs with s/a backing. Emergency safety signs - A2 fire assembly point 5 1.2 mm rigid plastic signs with self adhesive backing. Emergency safety signs A2 420 x 598 mm emergency assembly point 1.2 mm rigid plastic signs with s/a backing. Emergency safety signs - A2 emergency assembly point 1.2 mm rigid plastic signs with self adhesive backing. Emergency safety signs A2 420 x 598 mm fire assembly point e 1.2 mm rigid plastic signs with s/a backing. Emergency safety signs - A2 fire assembly point e 1.2 mm rigid plastic signs with self adhesive backing. Emergency safety signs A2 420 x 598 mm fire assembly point 2 1.2 mm rigid plastic signs with s/a backing. Emergency safety signs - A2 fire assembly point 2 1.2 mm rigid plastic signs with self adhesive backing. Emergency safety signs A1 fire assembly point 2 1.2 mm rigid plastic signs with s/a backing. Emergency safety signs - A1 fire assembly point 2 1.2 mm rigid plastic signs with self adhesive backing. Emergency safety signs A1 fire assembly point 1.2 mm rigid plastic signs with s/a backing. Emergency safety signs - A1 fire assembly point 1.2 mm rigid plastic signs with self adhesive backing. Emergency safety signs A1 fire assembly point 1 1.2 mm rigid plastic signs with s/a backing. Emergency safety signs - A1 fire assembly point 1 1.2 mm rigid plastic signs with self adhesive backing. Emergency safety signs A1 emergency assembly point 1.2 mm rigid plastic signs with s/a backing. Emergency safety signs - A1 emergency assembly point 1.2 mm rigid plastic signs with self adhesive backing. Emergency safety signs A1 fire assembly point 5 1.2 mm rigid plastic signs with s/a backing. Emergency safety signs - A1 fire assembly point 5 1.2 mm rigid plastic signs with self adhesive backing. Emergency safety signs A1 fire assembly point 4 1.2 mm rigid plastic signs with s/a backing. Emergency safety signs - A1 fire assembly point 4 1.2 mm rigid plastic signs with self adhesive backing. Emergency safety signs A1 fire assembly point 7 1.2 mm rigid plastic signs with s/a backing. Emergency safety signs - A1 fire assembly point 7 1.2 mm rigid plastic signs with self adhesive backing. Emergency safety signs A1 fire assembly point 6 1.2 mm rigid plastic signs with s/a backing. Emergency safety signs - A1 fire assembly point 6 1.2 mm rigid plastic signs with self adhesive backing. Emergency safety signs A1 fire assembly point b 1.2 mm rigid plastic signs with s/a backing. Emergency safety signs - A1 fire assembly point b 1.2 mm rigid plastic signs with self adhesive backing. Emergency safety signs A1 fire assembly point a 1.2 mm rigid plastic signs with s/a backing. Emergency safety signs - A1 fire assembly point a 1.2 mm rigid plastic signs with self adhesive backing. Emergency safety signs A1 fire assembly point 8 1.2 mm rigid plastic signs with s/a backing. Emergency safety signs - A1 fire assembly point 8 1.2 mm rigid plastic signs with self adhesive backing. Emergency safety signs A1 fire assembly point e 1.2 mm rigid plastic signs with s/a backing. Emergency safety signs - A1 fire assembly point e 1.2 mm rigid plastic signs with self adhesive backing. Emergency safety signs A1 fire assembly point c 1.2 mm rigid plastic signs with s/a backing. Emergency safety signs - A1 fire assembly point c 1.2 mm rigid plastic signs with self adhesive backing. Emergency safety signs A1 fire assembly point f 1.2 mm rigid plastic signs with s/a backing. Emergency safety signs - A1 fire assembly point f 1.2 mm rigid plastic signs with self adhesive backing. Emergency safety signs A1 fire assembly point 3 1.2 mm rigid plastic signs with s/a backing. Emergency safety signs - A1 fire assembly point 3 1.2 mm rigid plastic signs with self adhesive backing. Emergency safety signs A4 fire assembly point 3 1.2 mm rigid plastic signs with s/a backing. Emergency safety signs - A4 fire assembly point 3 1.2 mm rigid plastic signs with self adhesive backing. Emergency safety signs A4 fire assembly point 2 1.2 mm rigid plastic signs with s/a backing. Emergency safety signs - A4 fire assembly point 2 1.2 mm rigid plastic signs with self adhesive backing. Emergency safety signs A4 fire assembly point 1 1.2 mm rigid plastic signs with s/a backing. Emergency safety signs - A4 fire assembly point 1 1.2 mm rigid plastic signs with self adhesive backing. Emergency safety signs A4 fire assembly point 1.2 mm rigid plastic signs with s/a backing. Emergency safety signs - A4 fire assembly point 1.2 mm rigid plastic signs with self adhesive backing. Emergency safety signs A4 emergency assembly point 1.2 mm rigid plastic signs with s/a backing. Emergency safety signs - A4 emergency assembly point 1.2 mm rigid plastic signs with self adhesive backing. Emergency safety signs A4 fire assembly point 8 1.2 mm rigid plastic signs with s/a backing. Emergency safety signs - A4 fire assembly point 8 1.2 mm rigid plastic signs with self adhesive backing. Emergency safety signs A4 fire assembly point a 1.2 mm rigid plastic signs with s/a backing. Emergency safety signs - A4 fire assembly point a 1.2 mm rigid plastic signs with self adhesive backing. Emergency safety signs A4 fire assembly point 6 1.2 mm rigid plastic signs with s/a backing. Emergency safety signs - A4 fire assembly point 6 1.2 mm rigid plastic signs with self adhesive backing. Emergency safety signs A4 fire assembly point 5 1.2 mm rigid plastic signs with s/a backing. Emergency safety signs - A4 fire assembly point 5 1.2 mm rigid plastic signs with self adhesive backing. Emergency safety signs A4 fire assembly point e 1.2 mm rigid plastic signs with s/a backing. Emergency safety signs - A4 fire assembly point e 1.2 mm rigid plastic signs with self adhesive backing. Emergency safety signs A4 fire assembly point f 1.2 mm rigid plastic signs with s/a backing. 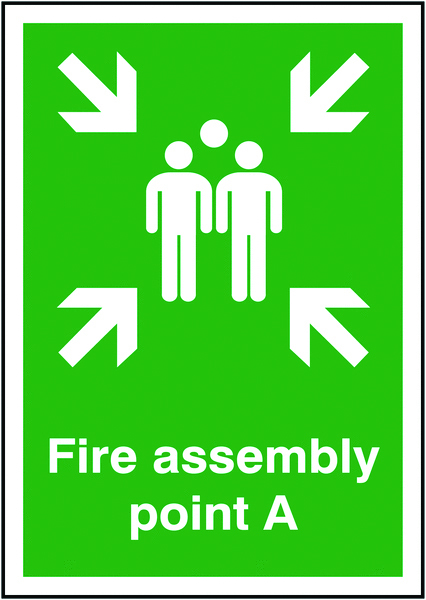 Emergency safety signs - A4 fire assembly point f 1.2 mm rigid plastic signs with self adhesive backing. Emergency safety signs A4 fire assembly point b 1.2 mm rigid plastic signs with s/a backing. Emergency safety signs - A4 fire assembly point b 1.2 mm rigid plastic signs with self adhesive backing. Emergency safety signs A4 fire assembly point 4 1.2 mm rigid plastic signs with s/a backing. Emergency safety signs - A4 fire assembly point 4 1.2 mm rigid plastic signs with self adhesive backing. Emergency safety signs A4 fire assembly point c 1.2 mm rigid plastic signs with s/a backing. Emergency safety signs - A4 fire assembly point c 1.2 mm rigid plastic signs with self adhesive backing. Emergency safety signs A4 fire assembly point 7 1.2 mm rigid plastic signs with s/a backing. Emergency safety signs - A4 fire assembly point 7 1.2 mm rigid plastic signs with self adhesive backing. Emergency safety signs 70 x 50 first aid box 1.2 mm rigid plastic signs. Emergency safety signs - 70 x 50 first aid box 1.2 mm rigid plastic signs. Emergency safety signs 150 x 125 mm first aid 1.2 mm rigid plastic signs. Emergency safety signs - 150 x 125 mm first aid 1.2 mm rigid plastic signs. Emergency safety signs 150 x 150 mm first aid 1.2 mm rigid plastic signs. Emergency safety signs - 150 x 150 mm first aid 1.2 mm rigid plastic signs. Emergency safety signs 150 x 150 mm first aid SYMBOLS 1.2 mm rigid plastic signs. Emergency safety signs - 150 x 150 mm first aid SYMBOLS 1.2 mm rigid plastic signs. Emergency safety signs 70 x 50 first aid box 1.2 mm rigid plastic signs with s/a backing. Emergency safety signs - 70 x 50 first aid box 1.2 mm rigid plastic signs with self adhesive backing. Emergency safety signs A5first aid box 1.2 mm rigid plastic signs. Emergency safety signs - A5 first aid box 1.2 mm rigid plastic signs. Emergency safety signs A5first aid 1.2 mm rigid plastic signs. Emergency safety signs - A5 first aid 1.2 mm rigid plastic signs. Emergency safety signs A5first aid room 1.2 mm rigid plastic signs. Emergency safety signs - A5 first aid room 1.2 mm rigid plastic signs. Emergency safety signs A5first aid station 1.2 mm rigid plastic signs. Emergency safety signs - A5 first aid station 1.2 mm rigid plastic signs. Emergency safety signs A5your first aiders are 1.2 mm rigid plastic signs. Emergency safety signs - A5 your first aiders are 1.2 mm rigid plastic signs. 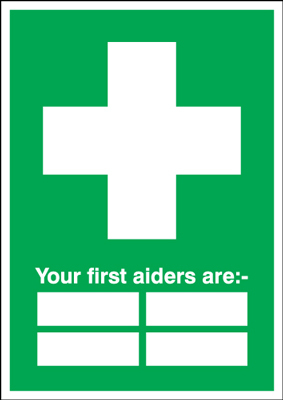 Emergency safety signs 150 x 200 mm first aid your first aiders are 1.2 mm rigid plastic signs. 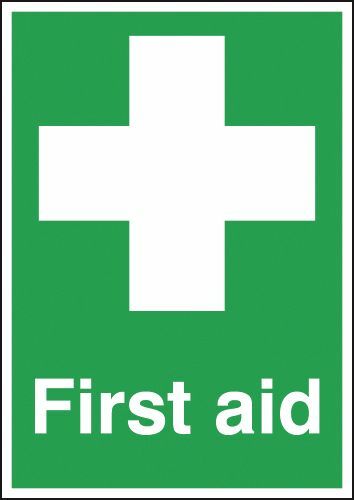 Emergency safety signs - 150 x 200 mm first aid your first aiders are 1.2 mm rigid plastic signs. Emergency safety signs 100 x 250 mm first aid station 1.2 mm rigid plastic signs. 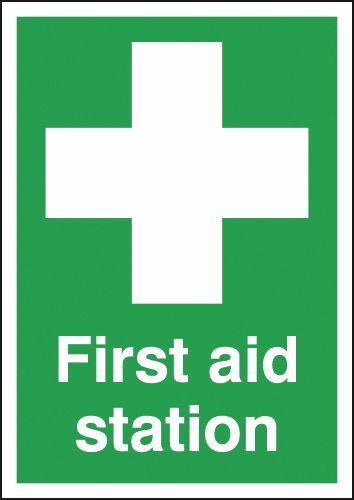 Emergency safety signs - 100 x 250 mm first aid station 1.2 mm rigid plastic signs. Emergency safety signs 100 x 250 mm first aid room 1.2 mm rigid plastic signs. Emergency safety signs - 100 x 250 mm first aid room 1.2 mm rigid plastic signs. Emergency safety signs 100 x 250 mm first aid box 1.2 mm rigid plastic signs. Emergency safety signs - 100 x 250 mm first aid box 1.2 mm rigid plastic signs. Emergency safety signs 100 x 250 mm first aid 1.2 mm rigid plastic signs. Emergency safety signs - 100 x 250 mm first aid 1.2 mm rigid plastic signs. 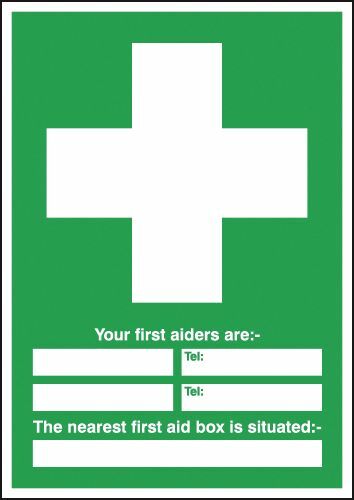 Emergency safety signs 100 x 250 mm your first aiders are 1.2 mm rigid plastic signs. Emergency safety signs - 100 x 250 mm your first aiders are 1.2 mm rigid plastic signs. 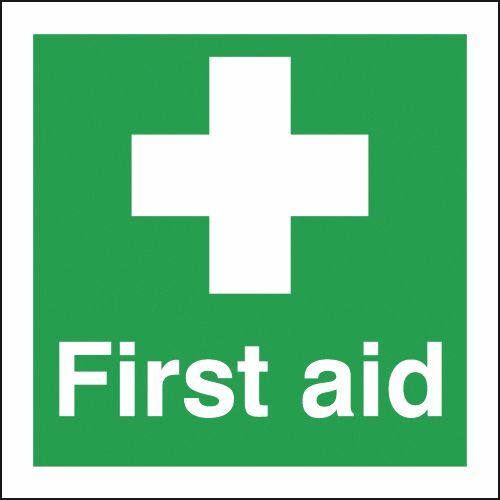 Emergency safety signs 200 x 200 mm first aid SYMBOLS 1.2 mm rigid plastic signs. Emergency safety signs - 200 x 200 mm first aid SYMBOLS 1.2 mm rigid plastic signs. Emergency safety signs 150 x 300 mm first aid 1.2 mm rigid plastic signs. Emergency safety signs - 150 x 300 mm first aid 1.2 mm rigid plastic signs. Emergency safety signs A5first aid point 1.2 mm rigid plastic signs. Emergency safety signs - A5 first aid point 1.2 mm rigid plastic signs. Emergency safety signs 100 x 250 mm first aid point 1.2 mm rigid plastic signs. Emergency safety signs - 100 x 250 mm first aid point 1.2 mm rigid plastic signs. Emergency safety signs 150 x 125 mm first aid 1.2 mm rigid plastic signs with s/a backing. Emergency safety signs - 150 x 125 mm first aid 1.2 mm rigid plastic signs with self adhesive backing. Emergency safety signs 300 x 200 mm first aid 1.2 mm rigid plastic signs. Emergency safety signs - 300 x 200 mm first aid 1.2 mm rigid plastic signs. Emergency safety signs 150 x 150 mm first aid 1.2 mm rigid plastic signs with s/a backing. Emergency safety signs - 150 x 150 mm first aid 1.2 mm rigid plastic signs with self adhesive backing. Emergency safety signs 150 x 150 mm first aid SYMBOLS 1.2 mm rigid plastic signs with s/a backing. Emergency safety signs - 150 x 150 mm first aid SYMBOLS 1.2 mm rigid plastic signs with self adhesive backing. Emergency safety signs 250 x 300 mm first aid is available from 1.2 mm rigid plastic signs. Emergency safety signs - 250 x 300 mm first aid is available from 1.2 mm rigid plastic signs. Emergency safety signs 300 x 250 mm first aid 1.2 mm rigid plastic signs. Emergency safety signs - 300 x 250 mm first aid 1.2 mm rigid plastic signs. Emergency safety signs 300 x 300 mm first aid SYMBOLS 1.2 mm rigid plastic signs. Emergency safety signs - 300 x 300 mm first aid SYMBOLS 1.2 mm rigid plastic signs. Emergency safety signs A4 first aid 1.2 mm rigid plastic signs. Emergency safety signs - A4 first aid 1.2 mm rigid plastic signs. Emergency safety signs A4 first aid box 1.2 mm rigid plastic signs. Emergency safety signs - A4 first aid box 1.2 mm rigid plastic signs. Emergency safety signs A4 first aid point 1.2 mm rigid plastic signs. Emergency safety signs - A4 first aid point 1.2 mm rigid plastic signs. Emergency safety signs A4 first aid room 1.2 mm rigid plastic signs. Emergency safety signs - A4 first aid room 1.2 mm rigid plastic signs. Emergency safety signs A4 first aid station 1.2 mm rigid plastic signs. Emergency safety signs - A4 first aid station 1.2 mm rigid plastic signs. Emergency safety signs A4 your first aiders are 1.2 mm rigid plastic signs. Emergency safety signs - A4 your first aiders are 1.2 mm rigid plastic signs. Emergency safety signs 400 x 300 mm your first aiders are 1.2 mm rigid plastic signs. Emergency safety signs - 400 x 300 mm your first aiders are 1.2 mm rigid plastic signs. Emergency safety signs 400 x 300 mm first aid station 1.2 mm rigid plastic signs. Emergency safety signs - 400 x 300 mm first aid station 1.2 mm rigid plastic signs. Emergency safety signs 400 x 300 mm first aid room 1.2 mm rigid plastic signs. Emergency safety signs - 400 x 300 mm first aid room 1.2 mm rigid plastic signs. Emergency safety signs 400 x 300 mm first aid point 1.2 mm rigid plastic signs. Emergency safety signs - 400 x 300 mm first aid point 1.2 mm rigid plastic signs. Emergency safety signs 400 x 300 mm first aid is available from 1.2 mm rigid plastic signs. Emergency safety signs - 400 x 300 mm first aid is available from 1.2 mm rigid plastic signs. Emergency safety signs 400 x 300 mm first aid 1.2 mm rigid plastic signs. Emergency safety signs - 400 x 300 mm first aid 1.2 mm rigid plastic signs. Emergency safety signs 100 x 250 mm first aid station 1.2 mm rigid plastic signs with s/a backing. 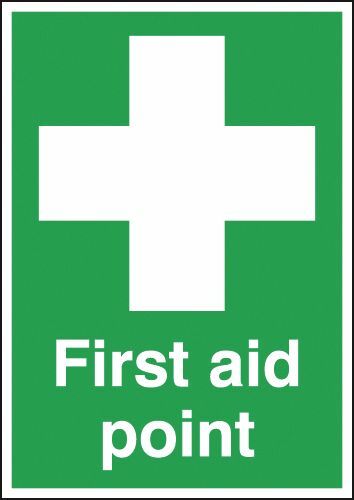 Emergency safety signs - 100 x 250 mm first aid station 1.2 mm rigid plastic signs with self adhesive backing. Emergency safety signs 100 x 250 mm first aid room 1.2 mm rigid plastic signs with s/a backing. 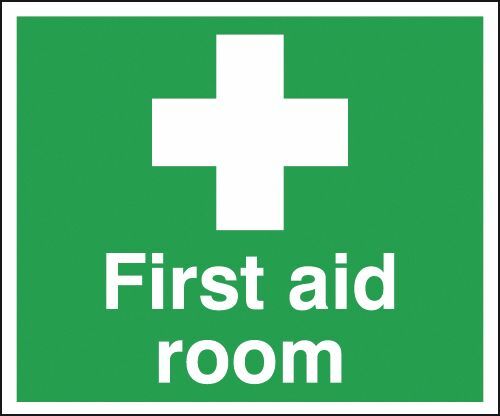 Emergency safety signs - 100 x 250 mm first aid room 1.2 mm rigid plastic signs with self adhesive backing. Emergency safety signs 100 x 250 mm first aid 1.2 mm rigid plastic signs with s/a backing. 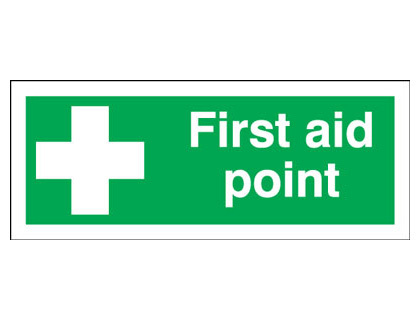 Emergency safety signs - 100 x 250 mm first aid 1.2 mm rigid plastic signs with self adhesive backing. Emergency safety signs 100 x 250 mm your first aiders are 1.2 mm rigid plastic signs with s/a backing. 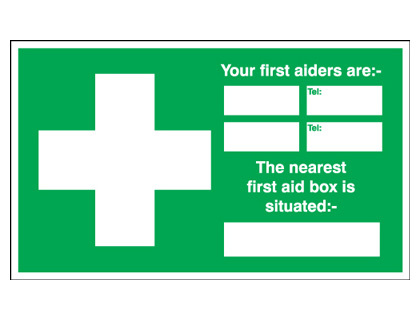 Emergency safety signs - 100 x 250 mm your first aiders are 1.2 mm rigid plastic signs with self adhesive backing. Emergency safety signs 300 x 500 mm first aid is available from 1.2 mm rigid plastic signs. Emergency safety signs - 300 x 500 mm first aid is available from 1.2 mm rigid plastic signs. Emergency safety signs A3 first aid box 1.2 mm rigid plastic signs. Emergency safety signs - A3 first aid box 1.2 mm rigid plastic signs. Emergency safety signs A3 first aid 1.2 mm rigid plastic signs. Emergency safety signs - A3 first aid 1.2 mm rigid plastic signs. Emergency safety signs A3 first aid point 1.2 mm rigid plastic signs. Emergency safety signs - A3 first aid point 1.2 mm rigid plastic signs. Emergency safety signs A3 first aid station 1.2 mm rigid plastic signs. Emergency safety signs - A3 first aid station 1.2 mm rigid plastic signs. Emergency safety signs A3 first aid room 1.2 mm rigid plastic signs. Emergency safety signs - A3 first aid room 1.2 mm rigid plastic signs. Emergency safety signs A3 your first aiders are 1.2 mm rigid plastic signs. Emergency safety signs - A3 your first aiders are 1.2 mm rigid plastic signs. Emergency safety signs 200 x 200 mm first aid SYMBOLS 1.2 mm rigid plastic signs with s/a backing. Emergency safety signs - 200 x 200 mm first aid SYMBOLS 1.2 mm rigid plastic signs with self adhesive backing. 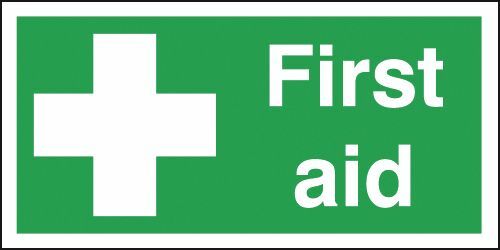 Emergency safety signs 400 x 300 mm first aid your first aiders are 1.2 mm rigid plastic signs. 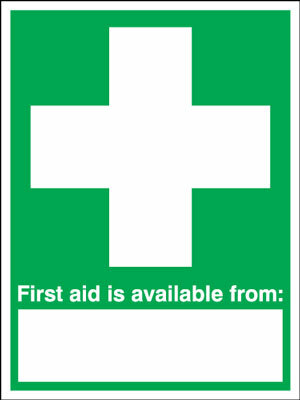 Emergency safety signs - 400 x 300 mm first aid your first aiders are 1.2 mm rigid plastic signs. Emergency safety signs 100 x 250 mm first aid box 1.2 mm rigid plastic signs with s/a backing. 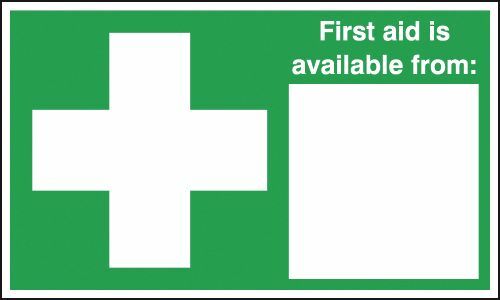 Emergency safety signs - 100 x 250 mm first aid box 1.2 mm rigid plastic signs with self adhesive backing. Emergency safety signs A5first aid 1.2 mm rigid plastic signs with s/a backing. Emergency safety signs - A5 first aid 1.2 mm rigid plastic signs with self adhesive backing. Emergency safety signs A5first aid box 1.2 mm rigid plastic signs with s/a backing. Emergency safety signs - A5 first aid box 1.2 mm rigid plastic signs with self adhesive backing. Emergency safety signs A5first aid station 1.2 mm rigid plastic signs with s/a backing. Emergency safety signs - A5 first aid station 1.2 mm rigid plastic signs with self adhesive backing. Emergency safety signs A5first aid room 1.2 mm rigid plastic signs with s/a backing. Emergency safety signs - A5 first aid room 1.2 mm rigid plastic signs with self adhesive backing. Emergency safety signs A5your first aiders are 1.2 mm rigid plastic signs with s/a backing. Emergency safety signs - A5 your first aiders are 1.2 mm rigid plastic signs with self adhesive backing. Emergency safety signs 150 x 300 mm first aid 1.2 mm rigid plastic signs with s/a backing. Emergency safety signs - 150 x 300 mm first aid 1.2 mm rigid plastic signs with self adhesive backing. Emergency safety signs A5first aid point 1.2 mm rigid plastic signs with s/a backing. Emergency safety signs - A5 first aid point 1.2 mm rigid plastic signs with self adhesive backing. Emergency safety signs 250 x 300 mm first aid is available from 1.2 mm rigid plastic signs with s/a backing. Emergency safety signs - 250 x 300 mm first aid is available from 1.2 mm rigid plastic signs with self adhesive backing. Emergency safety signs 300 x 250 mm first aid 1.2 mm rigid plastic signs with s/a backing. Emergency safety signs - 300 x 250 mm first aid 1.2 mm rigid plastic signs with self adhesive backing. Emergency safety signs 300 x 200 mm first aid 1.2 mm rigid plastic signs with s/a backing. Emergency safety signs - 300 x 200 mm first aid 1.2 mm rigid plastic signs with self adhesive backing. Emergency safety signs 600 x 450 mm first aid 1.2 mm rigid plastic signs. Emergency safety signs - 600 x 450 mm first aid 1.2 mm rigid plastic signs. Emergency safety signs 300 x 300 mm first aid SYMBOLS 1.2 mm rigid plastic signs with s/a backing. 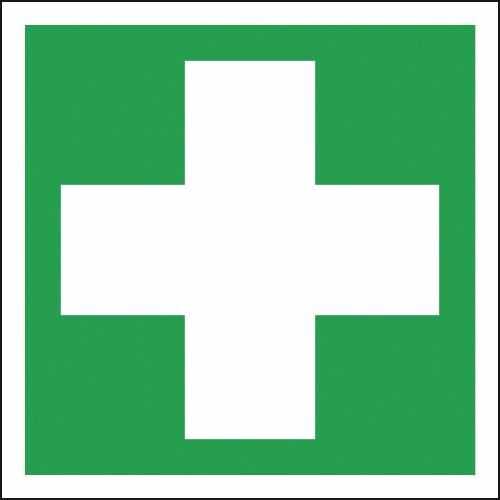 Emergency safety signs - 300 x 300 mm first aid SYMBOLS 1.2 mm rigid plastic signs with self adhesive backing. Emergency safety signs 600 x 450 mm first aid your first aiders are 1.2 mm rigid plastic signs. Emergency safety signs - 600 x 450 mm first aid your first aiders are 1.2 mm rigid plastic signs. Emergency safety signs 400 x 300 mm first aid is available from 1.2 mm rigid plastic signs with s/a backing. Emergency safety signs - 400 x 300 mm first aid is available from 1.2 mm rigid plastic signs with self adhesive backing. Emergency safety signs 400 x 300 mm first aid point 1.2 mm rigid plastic signs with s/a backing. Emergency safety signs - 400 x 300 mm first aid point 1.2 mm rigid plastic signs with self adhesive backing. Emergency safety signs 400 x 300 mm first aid room 1.2 mm rigid plastic signs with s/a backing. Emergency safety signs - 400 x 300 mm first aid room 1.2 mm rigid plastic signs with self adhesive backing. Emergency safety signs 400 x 300 mm first aid station 1.2 mm rigid plastic signs with s/a backing. Emergency safety signs - 400 x 300 mm first aid station 1.2 mm rigid plastic signs with self adhesive backing. Emergency safety signs 400 x 300 mm first aid 1.2 mm rigid plastic signs with s/a backing. Emergency safety signs - 400 x 300 mm first aid 1.2 mm rigid plastic signs with self adhesive backing. Emergency safety signs 400 x 300 mm your first aiders are 1.2 mm rigid plastic signs with s/a backing. Emergency safety signs - 400 x 300 mm your first aiders are 1.2 mm rigid plastic signs with self adhesive backing. Emergency safety signs 300 x 500 mm first aid is available from 1.2 mm rigid plastic signs with s/a backing. Emergency safety signs - 300 x 500 mm first aid is available from 1.2 mm rigid plastic signs with self adhesive backing. 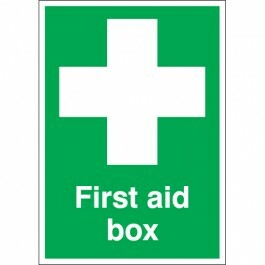 Emergency safety signs A3 first aid box 1.2 mm rigid plastic signs with s/a backing. Emergency safety signs - A3 first aid box 1.2 mm rigid plastic signs with self adhesive backing. Emergency safety signs A3 first aid 1.2 mm rigid plastic signs with s/a backing. Emergency safety signs - A3 first aid 1.2 mm rigid plastic signs with self adhesive backing. Emergency safety signs A3 first aid station 1.2 mm rigid plastic signs with s/a backing. Emergency safety signs - A3 first aid station 1.2 mm rigid plastic signs with self adhesive backing. Emergency safety signs A3 first aid point 1.2 mm rigid plastic signs with s/a backing. Emergency safety signs - A3 first aid point 1.2 mm rigid plastic signs with self adhesive backing. Emergency safety signs A3 first aid room 1.2 mm rigid plastic signs with s/a backing. Emergency safety signs - A3 first aid room 1.2 mm rigid plastic signs with self adhesive backing. Emergency safety signs 600 x 450 mm first aid 1.2 mm rigid plastic signs with s/a backing. Emergency safety signs - 600 x 450 mm first aid 1.2 mm rigid plastic signs with self adhesive backing. Emergency safety signs A3 your first aiders are 1.2 mm rigid plastic signs with s/a backing. Emergency safety signs - A3 your first aiders are 1.2 mm rigid plastic signs with self adhesive backing. Emergency safety signs A4 your first aiders are 1.2 mm rigid plastic signs with s/a backing. Emergency safety signs - A4 your first aiders are 1.2 mm rigid plastic signs with self adhesive backing. Emergency safety signs A4 first aid 1.2 mm rigid plastic signs with s/a backing. Emergency safety signs - A4 first aid 1.2 mm rigid plastic signs with self adhesive backing. Emergency safety signs A4 first aid box 1.2 mm rigid plastic signs with s/a backing. Emergency safety signs - A4 first aid box 1.2 mm rigid plastic signs with self adhesive backing. Emergency safety signs A4 first aid point 1.2 mm rigid plastic signs with s/a backing. Emergency safety signs - A4 first aid point 1.2 mm rigid plastic signs with self adhesive backing. Emergency safety signs A4 first aid station 1.2 mm rigid plastic signs with s/a backing. Emergency safety signs - A4 first aid station 1.2 mm rigid plastic signs with self adhesive backing. Emergency safety signs A4 first aid room 1.2 mm rigid plastic signs with s/a backing. Emergency safety signs - A4 first aid room 1.2 mm rigid plastic signs with self adhesive backing. Emergency safety signs 125 x 125 mm refuge point self adhesive vinyl labels. Emergency safety signs - 125 x 125 mm refuge point self adhesive vinyl labels. Emergency safety signs 125 x 125 mm refuge point 1.2 mm rigid plastic signs. Emergency safety signs - 125 x 125 mm refuge point 1.2 mm rigid plastic signs. Emergency safety signs 100 x 250 mm refuge point self adhesive vinyl labels. Emergency safety signs - 100 x 250 mm refuge point self adhesive vinyl labels. Emergency safety signs 150 x 300 mm refuge point self adhesive vinyl labels. Emergency safety signs - 150 x 300 mm refuge point self adhesive vinyl labels. Emergency safety signs A5refuge point self adhesive vinyl labels. Emergency safety signs - A5 refuge point self adhesive vinyl labels. Emergency safety signs 100 x 250 mm refuge point 1.2 mm rigid plastic signs. Emergency safety signs - 100 x 250 mm refuge point 1.2 mm rigid plastic signs. Emergency safety signs 150 x 300 mm refuge point 1.2 mm rigid plastic signs. Emergency safety signs - 150 x 300 mm refuge point 1.2 mm rigid plastic signs. Emergency safety signs A5refuge point 1.2 mm rigid plastic signs. Emergency safety signs - A5 refuge point 1.2 mm rigid plastic signs. Emergency safety signs 250 x 350 mm refuge point self adhesive vinyl labels. Emergency safety signs - 250 x 350 mm refuge point self adhesive vinyl labels. Emergency safety signs 400 x 300 mm refuge point self adhesive vinyl labels. Emergency safety signs - 400 x 300 mm refuge point self adhesive vinyl labels. Emergency safety signs 300 x 250 mm refuge point self adhesive vinyl labels. Emergency safety signs - 300 x 250 mm refuge point self adhesive vinyl labels. Emergency safety signs 125 x 125 mm refuge point 1.2 mm rigid plastic signs with s/a backing. Emergency safety signs - 125 x 125 mm refuge point 1.2 mm rigid plastic signs with self adhesive backing. Emergency safety signs A3 refuge point self adhesive vinyl labels. Emergency safety signs - A3 refuge point self adhesive vinyl labels. Emergency safety signs A4 refuge point self adhesive vinyl labels. Emergency safety signs - A4 refuge point self adhesive vinyl labels. Emergency safety signs 300 x 500 mm refuge point self adhesive vinyl labels. Emergency safety signs - 300 x 500 mm refuge point self adhesive vinyl labels. Emergency safety signs 250 x 350 mm refuge point 1.2 mm rigid plastic signs. Emergency safety signs - 250 x 350 mm refuge point 1.2 mm rigid plastic signs. Emergency safety signs 300 x 250 mm refuge point 1.2 mm rigid plastic signs. Emergency safety signs - 300 x 250 mm refuge point 1.2 mm rigid plastic signs. Emergency safety signs 400 x 300 mm refuge point 1.2 mm rigid plastic signs. Emergency safety signs - 400 x 300 mm refuge point 1.2 mm rigid plastic signs. Emergency safety signs 100 x 250 mm refuge point 1.2 mm rigid plastic signs with s/a backing. Emergency safety signs - 100 x 250 mm refuge point 1.2 mm rigid plastic signs with self adhesive backing. Emergency safety signs 300 x 500 mm refuge point 1.2 mm rigid plastic signs. Emergency safety signs - 300 x 500 mm refuge point 1.2 mm rigid plastic signs. Emergency safety signs A4 refuge point 1.2 mm rigid plastic signs. Emergency safety signs - A4 refuge point 1.2 mm rigid plastic signs. Emergency safety signs A3 refuge point 1.2 mm rigid plastic signs. Emergency safety signs - A3 refuge point 1.2 mm rigid plastic signs. Emergency safety signs 150 x 300 mm refuge point 1.2 mm rigid plastic signs with s/a backing. Emergency safety signs - 150 x 300 mm refuge point 1.2 mm rigid plastic signs with self adhesive backing. Emergency safety signs A2 420 x 598 mm refuge point self adhesive vinyl labels. Emergency safety signs - A2 refuge point self adhesive vinyl labels. Emergency safety signs A2 420 x 598 mm refuge point 1.2 mm rigid plastic signs. Emergency safety signs - A2 refuge point 1.2 mm rigid plastic signs. Emergency safety signs 300 x 250 mm refuge point 1.2 mm rigid plastic signs with s/a backing. Emergency safety signs - 300 x 250 mm refuge point 1.2 mm rigid plastic signs with self adhesive backing. Emergency safety signs 250 x 350 mm refuge point 1.2 mm rigid plastic signs with s/a backing. Emergency safety signs - 250 x 350 mm refuge point 1.2 mm rigid plastic signs with self adhesive backing. Emergency safety signs 400 x 300 mm refuge point 1.2 mm rigid plastic signs with s/a backing. Emergency safety signs - 400 x 300 mm refuge point 1.2 mm rigid plastic signs with self adhesive backing. Emergency safety signs A1 refuge point self adhesive vinyl labels. Emergency safety signs - A1 refuge point self adhesive vinyl labels. Emergency safety signs 300 x 500 mm refuge point 1.2 mm rigid plastic signs with s/a backing. Emergency safety signs - 300 x 500 mm refuge point 1.2 mm rigid plastic signs with self adhesive backing. Emergency safety signs A3 refuge point 1.2 mm rigid plastic signs with s/a backing. 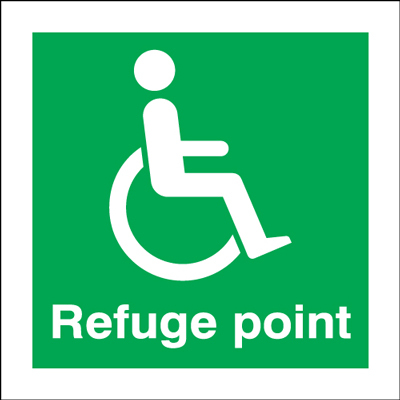 Emergency safety signs - A3 refuge point 1.2 mm rigid plastic signs with self adhesive backing. Emergency safety signs A1 refuge point 1.2 mm rigid plastic signs. Emergency safety signs - A1 refuge point 1.2 mm rigid plastic signs. Emergency safety signs A2 420 x 598 mm refuge point 1.2 mm rigid plastic signs with s/a backing. Emergency safety signs - A2 refuge point 1.2 mm rigid plastic signs with self adhesive backing. Emergency safety signs A1 refuge point 1.2 mm rigid plastic signs with s/a backing. 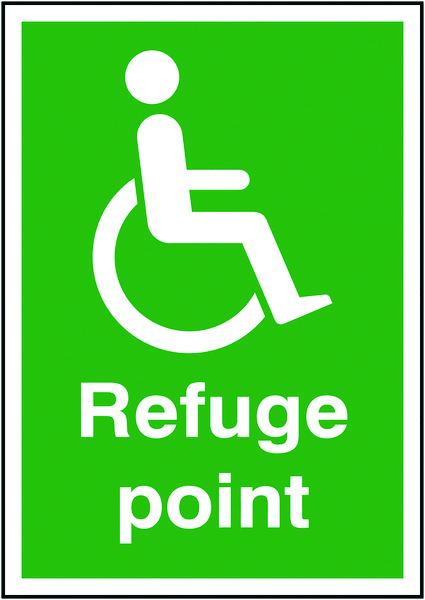 Emergency safety signs - A1 refuge point 1.2 mm rigid plastic signs with self adhesive backing. Emergency safety signs A4 refuge point 1.2 mm rigid plastic signs with s/a backing. 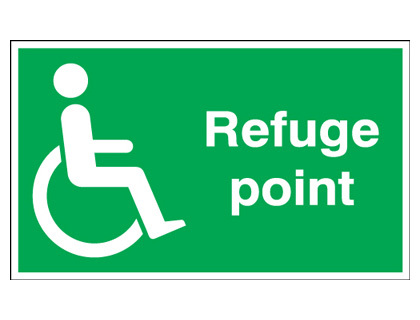 Emergency safety signs - A4 refuge point 1.2 mm rigid plastic signs with self adhesive backing. Emergency safety signs 150 x 125 mm report accidents immediately self adhesive vinyl labels. Emergency safety signs - 150 x 125 mm report accidents immediately self adhesive vinyl labels. Emergency safety signs A5report accidents immediately self adhesive vinyl labels. Emergency safety signs - A5 report accidents immediately self adhesive vinyl labels. Emergency safety signs 100 x 250 mm report accidents immediately self adhesive vinyl labels. Emergency safety signs - 100 x 250 mm report accidents immediately self adhesive vinyl labels. Emergency safety signs 150 x 125 mm report accidents immediately 1.2 mm rigid plastic signs. Emergency safety signs - 150 x 125 mm report accidents immediately 1.2 mm rigid plastic signs. Emergency safety signs A5report accidents immediately 1.2 mm rigid plastic signs. Emergency safety signs - A5 report accidents immediately 1.2 mm rigid plastic signs. Emergency safety signs 400 x 300 mm report accidents immediately self adhesive vinyl labels. Emergency safety signs - 400 x 300 mm report accidents immediately self adhesive vinyl labels. Emergency safety signs 100 x 250 mm report accidents immediately 1.2 mm rigid plastic signs. Emergency safety signs - 100 x 250 mm report accidents immediately 1.2 mm rigid plastic signs. Emergency safety signs A3 report accidents immediately self adhesive vinyl labels. Emergency safety signs - A3 report accidents immediately self adhesive vinyl labels. 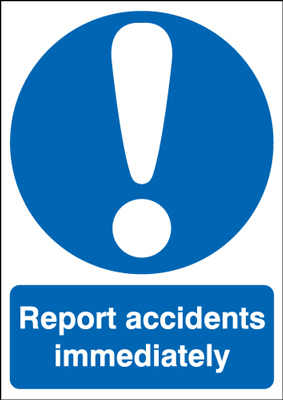 Emergency safety signs A4 report accidents immediately self adhesive vinyl labels. Emergency safety signs - A4 report accidents immediately self adhesive vinyl labels. Emergency safety signs 150 x 125 mm report accidents immediately 1.2 mm rigid plastic signs with s/a backing. Emergency safety signs - 150 x 125 mm report accidents immediately 1.2 mm rigid plastic signs with self adhesive backing. Emergency safety signs A4 report accidents immediately 1.2 mm rigid plastic signs. Emergency safety signs - A4 report accidents immediately 1.2 mm rigid plastic signs. Emergency safety signs 400 x 300 mm report accidents immediately 1.2 mm rigid plastic signs. Emergency safety signs - 400 x 300 mm report accidents immediately 1.2 mm rigid plastic signs. Emergency safety signs A3 report accidents immediately 1.2 mm rigid plastic signs. Emergency safety signs - A3 report accidents immediately 1.2 mm rigid plastic signs. Emergency safety signs A5report accidents immediately 1.2 mm rigid plastic signs with s/a backing. Emergency safety signs - A5 report accidents immediately 1.2 mm rigid plastic signs with self adhesive backing. Emergency safety signs 400 x 300 mm report accidents immediately 1.2 mm rigid plastic signs with s/a backing. Emergency safety signs - 400 x 300 mm report accidents immediately 1.2 mm rigid plastic signs with self adhesive backing. Emergency safety signs A3 report accidents immediately 1.2 mm rigid plastic signs with s/a backing. Emergency safety signs - A3 report accidents immediately 1.2 mm rigid plastic signs with self adhesive backing. Emergency safety signs A4 report accidents immediately 1.2 mm rigid plastic signs with s/a backing. Emergency safety signs - A4 report accidents immediately 1.2 mm rigid plastic signs with self adhesive backing.